For any additions/corrections to the Book of Lore, please post here. The 13 Lords of CHAOS! Requirements: Must have made a character when the game was in beta stage and verifed an upgrade AdventureQuest Guardian account, DragonFable DragonLord account or MechQuest Star Captain account. You defeated Wolfwing, one of the 13 Lords of Chaos! You have defeated Vath, one of the Lords of Chaos! Help Voltaire save Etherstorm and tame his Black Unicorn. Requirements: Complete the "Tie a Black Ribbon 'Round on an Old Burnt Tree" quest. You have battled your way through the undead invasion to King Alteon's throne room! Requirements: Complete the "Undead Assault" quest. Join Twig's Nightmare now and find out what it takes to be truly stubborn! Requirements: Go right in Screen 4 of Twig's Nightmare 100 times. You have completed the Guru quests! Requirements: Complete Guru Traveller's Quests. You and your team took down Ultra-Carnax! Victory is yours! You have completed the Willow Creek quest chain! Requirements: Complete Willow Creek Quests. You have chosen the path of Evil! You have defeated Chaos Lord Tibicenas! You have earned this badge by defeating the Chaos Beast kathool. You have stopped Pettivox and Drakath from tainting all of Lore's magic with Chaos in The Magic Thief event! Requirements: Defeat Pettivox during the Magic Thief questline. You have defeated the Chaos Beast Pony Gary Yellow! Requirements: Defeat Pony Gary Yellow. You unlocked this badge for helping Nythera in the "Test of the Suitor"! Requirements: Must have completed Nythera's Quests at Void Temple Exterior. You must complete the Noobshire quests to unlock this badge! 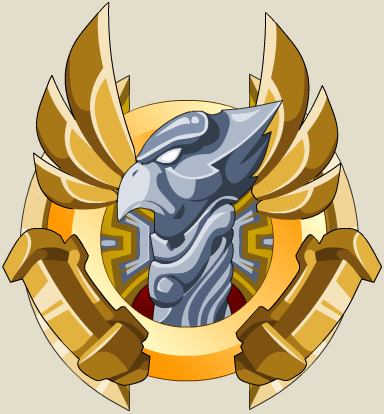 For freeing the Stone Paladin Guardian from his imprisonment, you have been awarded this badge and his armor! Requirements: Complete Stone Paladin's Quest. You have defeated many skypirates. Defeat 100 monsters in Screen 22 of Strategy Dept. Must have completed the Skyguard storyline in order to access this badge. You defeated the Rock Roc in Dwarfhold. You reinforced the paladins in Doomwood. Requirements: Defeat 100 monsters in Screen 4 of DoomWood Forest. Does the rare Derp Moosefish exist? 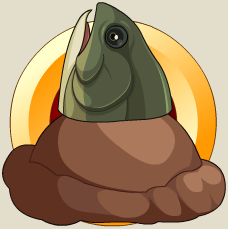 Requirements: Catch the Derp Moosefish during Fishing (Faction). You kicked a moglin 100 yards! A perfect punt! Requirements: Punt Twilly 100 yards during the Punt Twilly mini-game. You have defeated the Mana Golem. 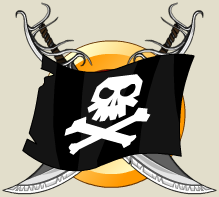 Earn this badge by completing all of Quibble's talk like a pirate day quests.. 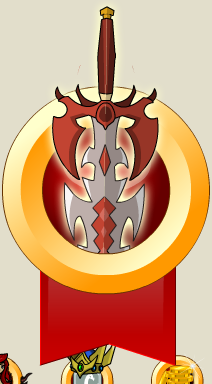 Awarded to active AQW members who helped the team test Guilds Phase 1. Requirements: Help test guilds on the PTR server from July to September, 2012. You've trained 100 undead for the Alliance. Requirements: Defeat 100 monsters in Screen 12 of Shadowfall. You have completed King Alteon's tasks! Requirements: Complete King Alteon's Quests. You have obtained a MILLION GOLD! Must have over 1,000,000 gold total at all times. 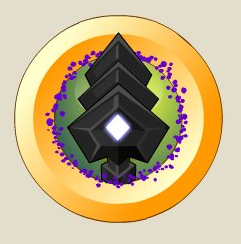 This badge will disappear from your Book of Lore if your total gold amount does not exceed 1,000,000. You got an autograph at a Friday 13th event! Requirements: Participate in the Friday 13th event during November, 2009. You participated on the live event with One-Eyed Doll! Requirements: Participate in the One-Eyed Doll / Live event during July, 2010. You have defeated Escherion, one of the Lords of Chaos! You have completed Galanoth's quest chain in the Dragon's Lair! You have defeated the Chaos Beast Dracowerepyre! You've reached the end of Lorestockpalooza! You have completed the Ninja Trainer quest chain! You Have Reached Level 10! You Have Reached Level 30! 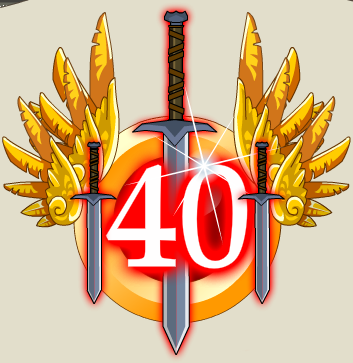 You Have Reached Level 40! You Have Reached Level 50! You defeated Chaos Lord Ledgermayne! Everybody was Kung Food Fighting at the Harvest Event! Requirements: Score 200 points in the "Food Fight" mini-game in Harvest. 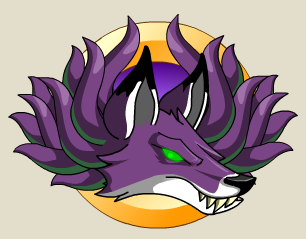 You have defeated Kitsune, one of the Lords of Chaos! Take on the Gruaige Baas, a monster out of Ravine legend! 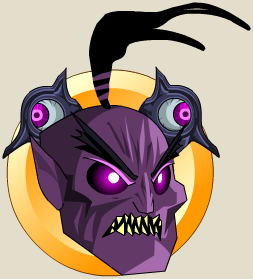 Defy its stony stare and deprive Drakath of another link to Chaos! 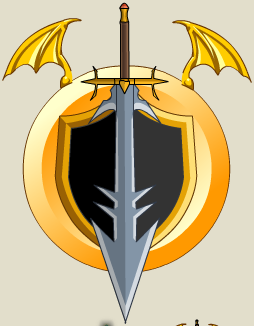 Awarded for defeating Desoloth in the Dragon Realm. Requirements: Complete Role-Playing Game's Quests. You have completed the Citadel quest Chain! 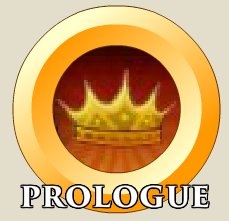 You unlocked this badge for helping J6 in 'The Marriage of J6: A Wedding in Three Acts'. Requirements: Must have completed J6's Quests in J6's Wedding. You defeated the lake Hydra in Chiral Valley. Requirements: Defeat Hydra Head (1) x3. 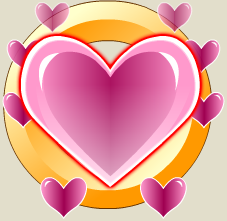 You unlocked this badge for uniting Prince Jim and Princess Pam on Heroes Heart Day! You have chosen the path of Good! 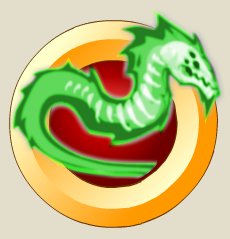 You have earned this badge by helping Cysero forge a ring for Nursey! Requirements: Complete Cysero's Wedding Quests. Awarded for slaying 100 Gargoyles and unlocking the treasure chest in the Cornelis Family Vault. Thanks to you Cornelis will rise again! Requirements: Complete Cornelis Chest's Quest. You helped One-Eyed Doll and Cysero escape the clutches of Dr. De'Sawed! 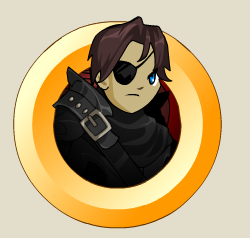 Awarded for defeating the Collector during the AQW third birthday event. Requirements: Defeat The Collector (Monster). You have completed all of Aria's Pet Shop Quests! Awarded for defeating the dopplegangers of they and helping John F. and John L. escape. Requirements: Complete John F.'s Quests. 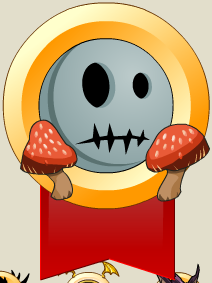 You defeated O-dokuro in Yokai! 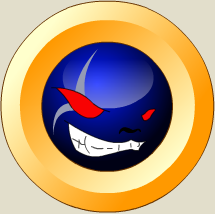 ", lockdesc:"You must defeat O-dokuro in Yokai to unlock this badge! You have completed the Bludrut Quest Chain! Requirements: Must have completed Shadow Thief Ghost's Quests. You have purchased 60 Bank slots! Requirements: Purchase 60 bank slots from Valencia Augold. You have purchased 40 Bank slots! Requirements: Purchase 40 bank slots from Valencia Augold. You have purchased 250 Bank slots! Requirements: Purchase 250 bank slots from Valencia Augold. Your character has 75 bag slots! Requirements: Purchase enough bag slots to have 75 in total from Valencia Augold. Your character has the maximum amount of bag slots! Requirements: Purchase all available bag slots from Valencia Augold. 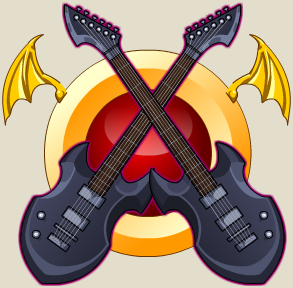 Awarded to those who helped the band ArcAttack test their shocking musical experiments on Vordred. Requirements: Complete Mad Scientist's Mountain's Quest. 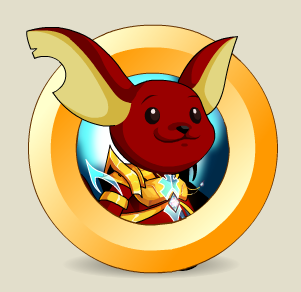 You have completed the AQW tutorial, guided Twilly safely to Battleon and inspired Serval to follow your example. You are a true Hero! Requirements: Must have completed Serval's Quests. Your quest to unlock the Blinding Light of Destiny is complete! You truly are a legendary Hero! Requirements: Must have completed Artix's Quests and forged the Blinding Light of Destiny (Axe). Required to access the Blinding Light of Destiny (Shop). Your quest to unlock the Sepulchure's Armor is complete! You truly are the darkest legendary Hero! Requirements: Must have completed Vayle's Quests and forged Sepulchure's DoomKnight Armor. You make Lim mad! Like crazy mad! Requirements: Catch Derp Lim during Alchemy. You have defeated the Chaos Lord Kimberly of One-Eyed Doll! 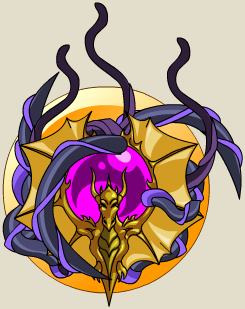 You watched Drakath demonstrate the power of Chaos! Requirements: In Swordhaven Castle - Undead, complete Robina's Quests, then talk to King Alteon on screen 5 and watch through the cutscenes. You defeated the Chaos Sphinx! You have defeated both the challenge versions of the Dwarven Champions, Blixx and Meatball! Requirements: Defeat the Challange versions of Blixx and Meatball. 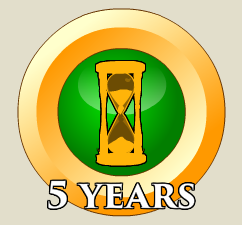 You have earned this badge for helping Alina and Rolith find the time to get married to each other in "Time After Time"!" You have earned this badge by defeating the Chaos Lord Iadoa. Requirements: Defeat Chaos Lord Iadoa (1). You have proven that you have mastered time by defeating BOTH Ultra Iadoa and Ultra Kathool! Well done, hero! Requirements: Defeat Ultra Kathool and Ultra Iadoa. Slay 100 Chaorrupted Prisoners to save the Mobius villagers from attack! Requirements: Must get 100 "Deliverance" from the Chaorrupted Prisoners. Congrats! You've taken down Frostfang - reward yourself with a big mug of Moglinberry cider! Requirements: Must have completed either the 'Defeat Frostfang (Evil)' or the 'Defeat Frostfang (Good)' quest. 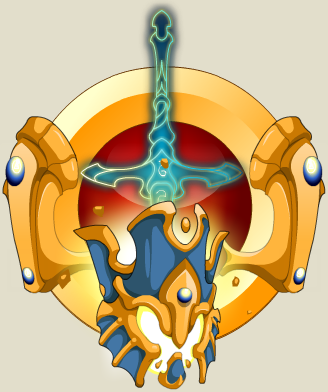 You've unlocked the Ascended Avatar's Blade by saving Swordhaven from the Undead Invasion! Requirements: Must have completed the Prologue. Note: Opens the Prologue Complete shop. You've unlocked the Shadow's Fang gear by recovering the cursed DoomKnight armor in Shadowfall! Requirements: Must have completed the 'Recover Sepulchure's Cursed Armor!' quest. Note: Opens the Shadowfall Complete shop. You've unlocked the Phoenix Hunter Set by defeating the 1st Lord of Chaos in Chiral Valley! Requirements: Must have completed the Chiral Valley saga. Note: Opens the Chiral Valley Champion shop. You've unlocked the Mountain's Heart gear by defeating the 3rd Lord of Chaos in the Dwarfhold Mountains! Requirements: Must have completed the Dwarfhold Mountains saga. Note: Opens the Dwafhold Champion shop. You've unlocked the Amethyst Enchantment Gear by defeating 4th Lord of Chaos in Yokai Aisle! Requirements: Must have completed the Yokai Island saga. 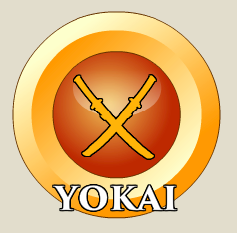 Note: Opens the Yokai Champion shop. You unlocked the Sapphire Enchantment gear by defeating the 5th Lord of Chaos in Darkovia! Requirements: Must have completed the Darkovia saga. 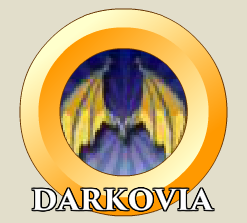 Note: Opens the Darkovia Champion shop. You unlocked the Rockstar armor + bonuses by defeating the 6th Lord of Chaos in Mythsong! Requirements: Must have completed the Mythsong Valley saga. 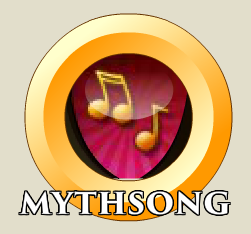 Note: Opens the Mythsong Champion shop. You unlocked the Arcana Invoker set + bonuses by defeating the 7th Lord of Chaos in Arcangrove! Requirements: Must have completed the Arcangrove saga. 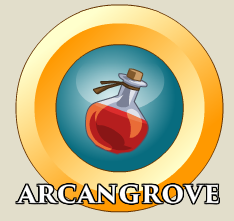 Note: Opens the Arcangrove Champion shop. 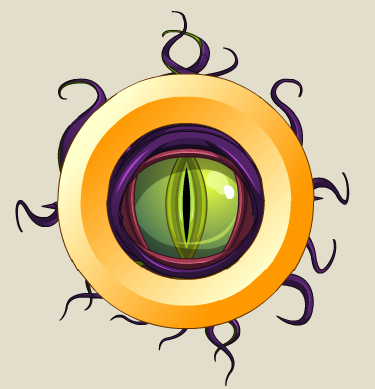 You unlocked the Sun Tear's gear + bonuses and animations by defeating the 8th Lord of Chaos in the Sandsea! 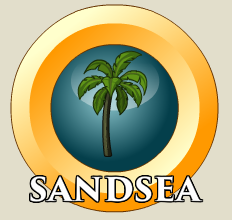 Note: Opens the Sandsea Champion shop. Unlock the Master Phoenix Hunter + bonuses and animations when you complete the Horcs storyline in the Bloodtusk Ravine! Requirements: Must have completed the Bloodtusk Ravine (Horc) and/or Bloodtusk Ravine (Troll) saga. Note: Opens the Bloodtusk Champion shop. 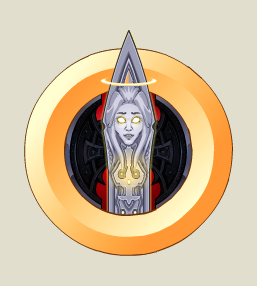 You unlocked the Ornate Blade of Light by playing AQWorlds for 1 week! Requirements: Must have an account for at least a week. Note: Opens the 1 Week Anniversary shop. 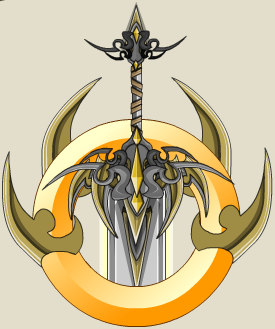 You unlocked the Hunter's Gear weapons by playing AQWorlds for 1 month! Requirements: Must have had an account for at least 1 month. Note: Opens the 1 Month Anniversary shop. You unlocked the Vasalkar's Champion set by playing AQWorlds for 3 months! Requirements: Must have had an account for at least 3 months. Note: Opens the 3 Months Anniversary shop. Unlock the Ruler of the Deep set + bonuses and animations when you defeat the 10th Lord of Chaos in the ChronoSpan! Requirements: Must have completed the The Span saga. 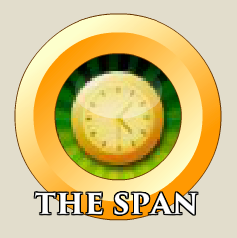 Note: Opens the TheSpan Champion shop. Unlock the Blood Invoker set + bonuses and animations when you defeat the 11th Lord of Chaos in the Thunderforge Mountains! Requirements: Must have completed the ThunderForge saga. 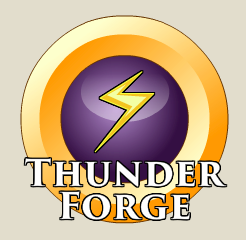 Note: Opens the ThunderForge Champion shop. Unlock the Cyber Ruler set + bonuses and animations when you defeat the 12th Lord of Chaos in Swordhaven! Note: Opens the Swordhaven Champion shop. 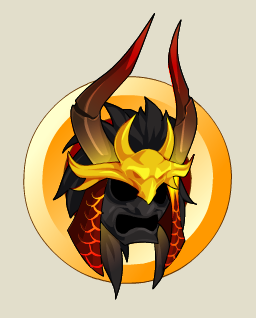 Unlock the Mirror Daimyo pet + bonuses and animations when you defeat the 2nd Lords of Chaos in the Mirror Realm! Requirements: Must have completed the Xing & Xang saga. 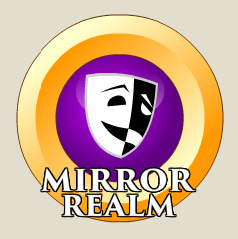 Note: Opens the Mirror Realm Champion shop. 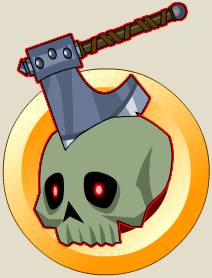 Unlock the Lore's Champion set + bonuses and animations when you defeat the 13th Lord of Chaos in Mount DoomSkull! Requirements: Must have completed the Mount DoomSkull saga. Note: Opens the DoomSkull Champion shop. You unlocked the Emerald Emperor's Knight set + bonuses by playing AQWorlds for 6 months! Requirements: Must have had an account for at least 6 months. Note: Opens the 6 Months Anniversary shop. You unlocked the Ruby Emperor's General set + bonuses and animations by playing AQWorlds for 12 months! Requirements: Must have had an account for at least 12 months. Note: Opens the 12 Months Anniversary shop. You unlocked the DoomKnight Battlemage set + bonuses and animations by playing AQWorlds for 15 months! Requirements: Must have had an account for at least 15 months. Note: Opens the 15 Months Anniversary shop. You unlocked the DoomKnight Shadowmage set + bonuses and animations by playing AQWorlds for 2 years! Requirements: Must have had an account for at least 2 years. Note: Opens the 2 Year Anniversary shop. You unlocked the Prismatic Lasers set + bonuses and animations by playing AQWorlds for 3 years! Requirements: Must have had an account for at least 3 years. Note: Opens the 3 Year Anniversary shop. You unlocked the Bright Amadis set + bonuses and aniamtions animations by playing AQWorlds for 4 years! Requirements: Must have had an account for at least 4 years. Note: Opens the 4 Year Anniversary shop. You unlocked the Cyber Dreadhaven General set + bonuses and animations by playing AQWorlds for 5 years! Requirements: Must have had an account for at least 5 years. Note: Opens the 5 Year Anniversary shop. You unlocked the Gravelyn's Champion set + bonuses and animations by playing AQWorlds for 6 years! Requirements: Must have had an account for at least 6 years. Note: Opens the 6 Year Anniversary shop. 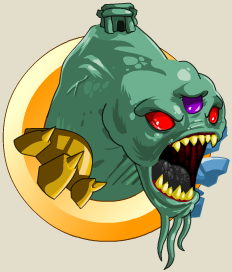 You have unlocked the Gandolphin Pet + bonuses by having 1 month of AQW membership! Requirements: Must have at least 1 month total membership. Note: Opens the 1 Month Loyalty shop. 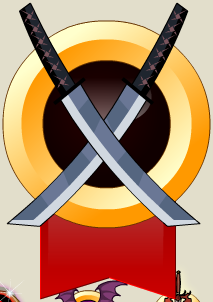 You have unlocked the Ultimate Flame Katana + bonuses by having 2 months of AQW membership! Requirements: Must have at least 2 months total membership. Note: Opens the 2 Months Loyalty shop. Unlock the Celestial Acolyte set + bonuses and animations by having 3 months of AQW membership! Requirements: Must have at least 3 months total membership. Note: Opens the 3 Months Loyalty shop. 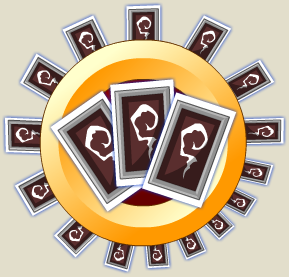 You unlocked the Illusionist set by having 6 months of AQW membership! Requirements: Must have at least 6 months total membership. Note: Opens the 6 Months Loyalty shop. You unlocked the Elite Asgardian set + bonuses and animations by having 12 months of AQW membership! Requirements: Must have at least 12 months total membership. Note: Opens the 12 Months Loyalty shop. You unlocked the Bitterblade Rogue set + bonuses and animations by having 15 months of AQW membership! Requirements: Must have at least 15 months total membership. Note: Opens the 15 Months Loyalty shop. 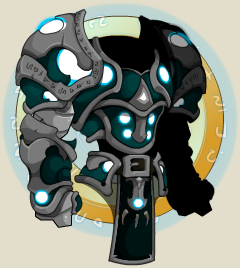 You unlocked the Chaos Watcher Morph armor + bonuses and animations by having 2 years of AQW membership! Requirements: Must have at least 2 years total membership. Note: Opens the 2 Years Loyalty shop. You unlocked the DragonSlayer Inquisitor set + bonuses and animations by having 3 years of AQW membership! Requirements: Must have at least 3 years total membership. Note: Opens the 3 Years Loyalty shop. Unlock the Jade Dragon Mage set + bonuses and animations by having 4 years of AQW membership! Requirements: Must have at least 4 years total membership. Note: Opens the 4 Years Loyalty shop. Unlock the Toxic Flame Biker Morph armor + bonuses and animations by having 5 years of AQW membership! Requirements: Must have at least 5 years total membership. Opens the 5 Years Loyalty shop. Opens the 5 Years Loyalty House Shop. You unlocked the Matrix Conduit Katana + bonuses by purchasing 500 AdventureCoins! Requirements: Must have earned at least 500 ACs combined, either by purchasing them or using AExtras. Note: Opens the 500 AC Loyalty shop. You unlocked the Blazing Chaos Gear + bonuses by purchasing 2,000 AdventureCoins! Requirements: Must have earned at least 2,000 ACs combined, either by purchasing them or using AExtras. Note: Opens the 2000 AC Loyalty shop. You unlocked the Overclocked Techsuit armor with bonuses and animations by purchasing 12,000 AdventureCoins! Requirements: Must have earned at least 12,000 ACs combined, either by purchasing them or using AExtras. Note: Opens the 12000 AC Loyalty shop. You unlocked the Noxious Symbiote armor with bonuses and animations by purchasing 25,000 AdventureCoins! Requirements: Must have earned at least 25,000 ACs combined, either by purchasing them or using AExtras. Note: Opens the 25000 AC Loyalty shop. You unlocked the Toxix Toxic Symbiote armor with bonuses and animations by purchasing 50,000 AdventureCoins! Requirements: Must have earned at least 50,000 ACs combined, either by purchasing them or using AExtras. Note: Opens the 50000 AC Loyalty shop. You unlocked the Necromancer Rising set with bonuses and animations by purchasing 100,000 AdventureCoins! Requirements: Must have earned at least 100,000 ACs, either by purchasing them or using AExtras. Note: Opens the 100000 AC Loyalty shop. You unlocked the Platinum GryphonRider set + bonuses and animations by purchasing 200,000 AdventureCoins! Requirements: Must have earned at least 200,000 ACs, either by purchasing them or using AExtras. Note: Opens the 200000 AC Loyalty shop. You unlocked the OmniKnight Blade by battling through all 7 Artix Entertainment games to find the 13 cursed artifacts in our 12th Anniversary event! 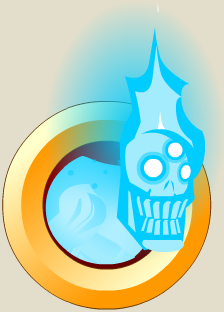 Requirements: Must have obtained all Artifacts from all Games using your Portal Battleon Account. Note: Opens the OmniKnight shop. 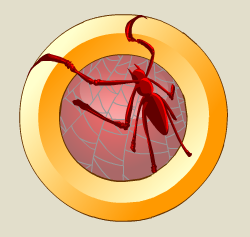 You unlocked the Pyrewatch Defender badge by slaying 100 of the invaders who flanked Pyrewatch Peak! The people of the Firestorm Caldera thank you! Requirements: Must have completed the 'Pyrewatch Defender Badge' quest. 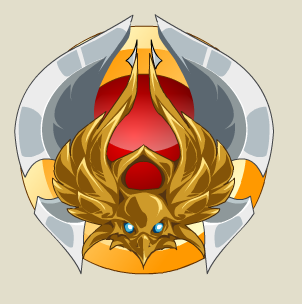 Awarded to active AQW members who helped the team test Guilds Phase 2. Requirements: Must have been in a guild in which either the guild leader or a guild member logged onto the PTR server between Jul 26th - Oct 10th, 2013. Opens Guilds Halls PTR Shop. 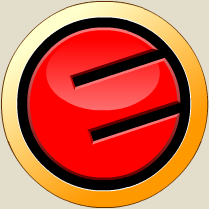 You unlocked the Zorbak Punter badge by getting a value of 13 when punting Zorbak Mehehehehe. Requirements: Punt Zorbak 13 yards during the Punt Zorbak mini-game. You fought your way all the way to the top - and all the way to the bottom - of the Tower of Doom! Requirements: Must have completed the 'Defeat Slugbutter' quest. 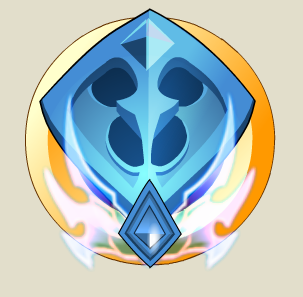 You unlocked the Bright New Hero badge by reaching level 10 within the your first 24 hours on Lore! Requirements: Must have created an account on or after April 24, 2015 and reach level 10 within 24 hours of account creation. Note: Opens the Bright New Hero shop. 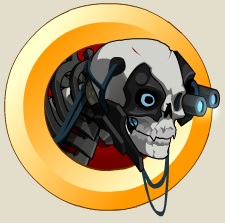 You unlocked this badge by helping test AQW's new server on the Test PTR! Thank you, and Battle on! Requirements: Must have logged into the PTR server anywhere from June 19, 2015 - February 18, 2016. You unlocked the Nulgath Evolution gear + bonuses and animations by having 6 years of AQW membership! Requirements: Must have at least 6 years total membership. 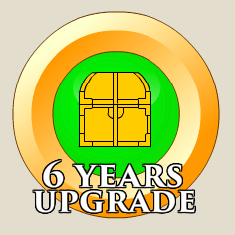 Note: Opens the 6 Year Upgrade Badge shop. You unlocked the Light and Dark Mage sets + bonuses and animations by playing AQWorlds for 7 years! Requirements: Must have had an account for at least 7 years. Note: Opens the 7 Years Played Badge shop. You unlocked the Swordhaven Mansion house with armor customization room by purchasing 300,000 or more AdventureCoins! Requirements: Must have earned at least 300,000 ACs, either by purchasing them or using AExtras. Note: Opens the 300000 AC Loyalty shop. You've defeated 100 Horde Zombies! Requirements: Defeat 100 monsters in Screen 2 of Darkovia Horde. 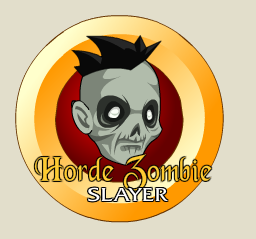 Opens the Horde Zombie Slayer Badge shop. 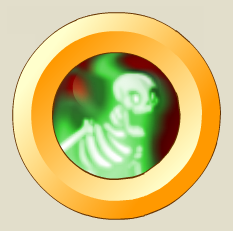 You unlocked this badge by slaying 100 mummies in The CruxShadows 2015 Halloween event! Requirements: Must have completed the '100 Mummy Massacre' quest. 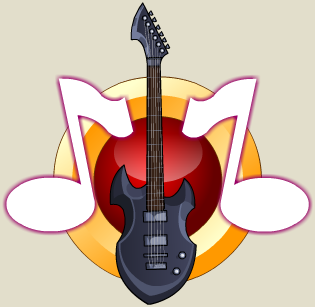 You unlocked this badge by completing the CruxShadows 2015 Mogloween event! 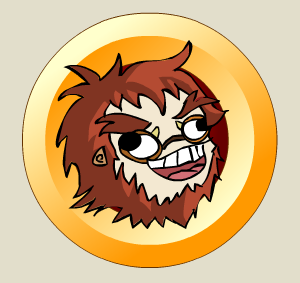 Battle Apephyrx to get Sigils to level up your weapon! Requirements: Must have completed the CruxShadows event. Opens the Moonlight Khopesh shop. You've unlocked this badge by completing the Free HeroPoints quest from Stryche. Enjoy your two free HeroPoints! Requirements: Must have completed the 'Free HeroPoints!' quest. 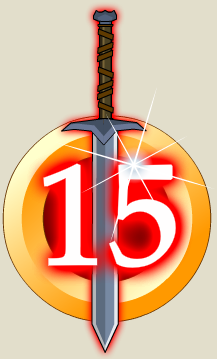 You unlocked this badge and battle zone for having played AdventureQuest Worlds for 8 years. 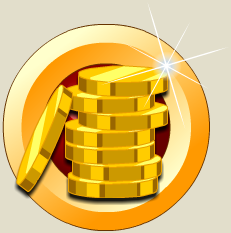 Buy the Golden 8th Birthday Candle from the shop and keep it in your inventory or bank to /join NostalgiaQuest. Requirements: Must have had an account for at least 8 years. Note: Opens the NostalgiaQuest shop. 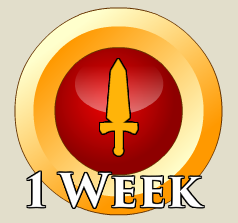 You unlocked this badge and reward gear for having 7 YEARS of membership in AdventureQuest Worlds! You truly ARE a legend!. Requirements: Must have at least 7 years total membership. Note: Opens the DoomFire Guard (Shop) shop. 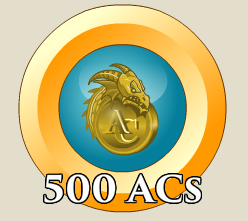 You unlocked this badge and reward gear for having supported AdventureQuest Worlds with 400,000 AdventureCoins! Requirements: Must have earned at least 400,000 ACs, either by purchasing them or using AExtras. Note: Opens the DoomFire Warrior (Shop) shop. 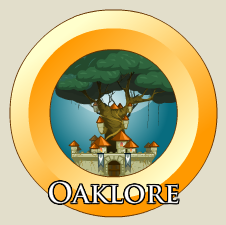 You unlocked this badge by agreeing to follow the rules of AdventureQuest Worlds! Requirements: Must have completed the 'Sign Nythera's Scroll' quest. Note: Opens the Justice Squad shop. You unlocked the Phoenix Morph armor by purchasing 9 months of AQW membership! Requirements: Must have at least 9 months total membership. Note: Opens the 9 Months Loyalty shop. 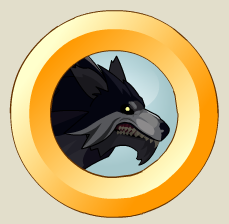 This achivement is unlocked by using the code provided with the purchase of the Urkor Malravenous Toy. Requirements: Purchased the 'Urkor Malravenous Toy' from HeroMart. Opens the Deady Urkor Malravenous Shop. In your face! …Zorkba's face, I mean! Badge unlocked by purchasing a Zorbak Shirt from HeroMart! Requirements: Purchase the Zorbak T-Shirt from HeroMart. Opens the Zorbak Shirt (Shop). Xan, the Insave pyromancer, is the absolute master of all things firey but his intense hatred of Warlic burns hotter than any of his spells. This badge is unlocked by purchasing the Xan Poster from Heromart! Requirements: Purchase the Xan Poster from HeroMart. Opens the Xan Poster Shop. 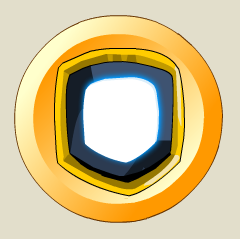 Awarded to high ranking Paladins to allow access to the Paladin HighLord class, armor, helm, weapon, and castle. (Obtained from the Artix Action Figure at HeroMart.com or Toys"R"Us. Requirements: Purchase the Artix action figure from HeroMart. Opens the Toy Artix Shop. Opens the Toy Artix House Shop. CAUTION:RADIOACTIVE.You managed to grab one of Voltaire's rare glow-in-the-dark Deady Bunee toys and unlocked your own Death Bunny Nitro pet! Requirements: Must have purchased the Death Bunee Necro or Death Bunee Nitro Toys from Voltaire's Shop or HeroMart. 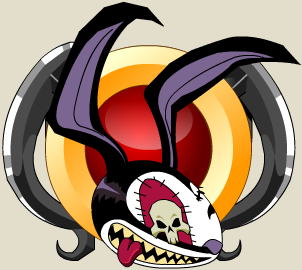 Note: Opens the Death Bunny Nitro Shop. Nope, you're not a Mod. Awarded for purchasing the No, You Can't Be A Mod T-Shirt from HeroMart! Requirements: Purchase the Not A Mod T-Shirt from HeroMart. Opens the Not A Mod Shirt Shop. It's all about the ears. You managed to grab one of Voltaire's rare Deady Bunee toys and unlocked SIX cuddly-wuddly Deady Bunny pets! Requirements: Must have purchased the Silver Screen Deady Bunee, Deady Bunee, Death Bunee, Sleetzer Deady Bunee, or Sleetzer Bunee from Voltaire's Shop or HeroMart. Note: Opens the Deady Sleezter Shop. This achievement is unlocked by using the code provided by purchasing the Artix Entertainment Shirt. Requirements: Purchase the Artix Entertainment T-shirt from Heromart. 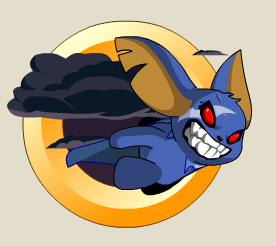 This achievement is unlocked by using the code provided with the purchase of the Year of the Moglin Calendar. Requirements: Purchase the 2011 AE Calendar from HeroMart. Opens the AE Calendar Shop. 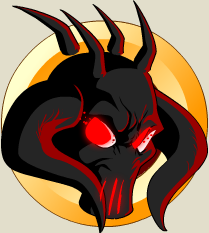 You obtain this badge by purchasing the Shadowscythe Mousepad from HeroMart. The Shadow Steel armor has been twisted by Shadowscythe infection from an ancient and noble armor into it's current dark form. LONG UNLIVE THE SHADOWSCYTHE! ChickenCow Bock Two… Engage! Awarded for purchasing the Confused ChickenCow T-shirt from HeroMart! Opens the ChickenCow Bock Two shop. 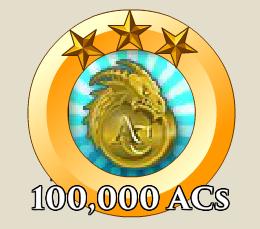 This achievement is unlocked by using the code provided with purchase of the novel The Dragon's Secret. Requirements: Purchase the "The Dragon's Secret" novel from Heromart. This achievement is unlocked by using the code provided with the purchase of Deady Big In Japan Toy. Requirements: Must have purchased the Deady Big In Japan Toy from Voltaire's Shop or HeroMart. Opens the Deady Big In Japan Shop. 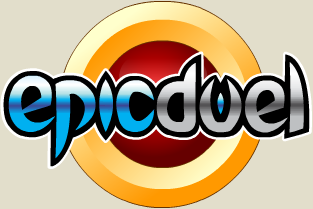 This achievement is unlocked by using the code provided with the purchase of the Epic Duel T-Shirt. Requirements: Purchase the EpicDuel T-shirt from Heromart. Opens the ED Shirt Shop. You have shown your support for the most dastardly and ebil cooperation of all… in other words, the WINNER. You have now purchased the right to feel superior to everyone who does NOT have this shirt. Opens the EbilCorp Shirt Shop. When two great evils like Archfiend Nulgath and Dage The Evil got to war,everyone loses. 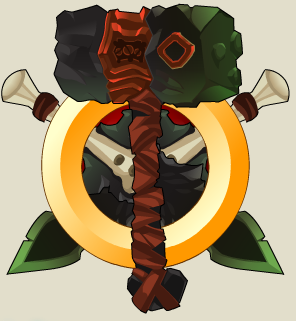 You unlocked this badge by purchasing Dage vs. Nulgath War Poster created by Diozz and Dage The Evil. Requirements: Purchase the 'Dage vs. Nulgath War Poster' from HeroMart. Note: Opens the Evil War Print Shop. This achievement is unlocked by using the code provided with the purchase of the CD The NPC's Critical Hits. Requirements: Purchase the NPC Critical Hits CD from HeroMart. Opens the Green Guitar Shop. In a world full of deadly monsters, twisted villains an uncontrollable Chaos it takes a special kind of person to stand for Good. You unlocked this badge for purchasing the Heroes of Lore poster. Requirements: Purchase the "Heroes of Lore" poster from HeroMart. Opens the Good Heroes Poster Shop. Proof that you were in the SPIRIT of the season when you unlocked this badhe with the purchase of a Mogloween 2012 Shirt from HeroMart! Requirements: Purchase the "Mogloween T-Shirt" poster from HeroMart. Opens the Mogloween 2012 Shirt. This badge ROCKS! Proof that you had your face melted by One-Eyed Doll's CD, "Something About A Dragon?" created exclusively for the players of AE games! Opens the Something About A Dragon shop. 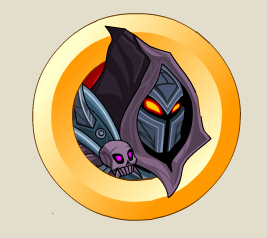 This achievement is unlocked by using the code provided with the purchase of the AQWorlds Battle Card Game Doomwood Mod Pack. Requirements: Purchase the Doomwood Mod Pack from HeroMart. Opens the Doomwood Mod Pack shop. Opens the PaladinSlayer Gear shop. Cute and cuddly on the outside… twisted and demented on the inside! This achivement is unlocked by using the code provided with Deady toy. Requirements: Purchase the 'Deady Toy' from HeroMart. Opens the Deady Shop shop. Opens the Voltaire House Items Shop. 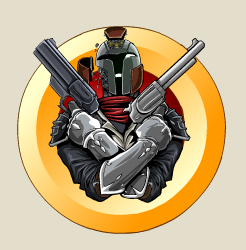 This achievement is unlocked when you purchased the J6 themed "Are YOU a Bounty Hunter?" shirt! 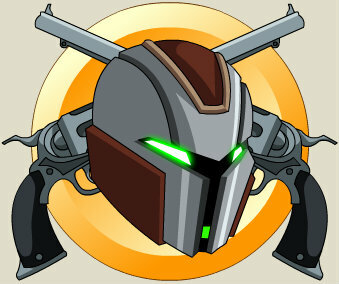 Requirements: Purchase the "Are YOU a Bounty Hunter" t-shirt from HeroMart. Opens the J6 Shirt Shop. Dage wants YOU to join the Undead Legion! Awarded for purchasing the Dage Legion Print from HeroMart. Requirements: Purchase the Dage Legion Poster from Heromart. Opens the Legion Poster shop. 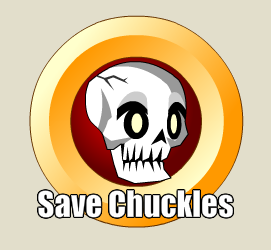 This achievement is unlocked by acquiring the Chuckles Head Pet from the Save Chuckles T-Shirt. He silently laughs when you click on him. Requirements: Must have bought the Save Chuckles T-Shirt from Heromart. Note: Opens the Chuckles shop. This achievement is unlocked by using the code provided with the purchase of the AE 2012 Calendar. Requirements: Purchase 'the AE 2012 Calendar' from HeroMart. 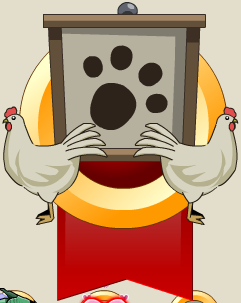 This achievement is unlocked by using the code provided with the purchase of a Chicken Cow T-Shirt. Requirements: Purchase the 'Chicken Cow T-Shirt' from HeroMart. Opens the Chicken Cow Shop. Thanks for helping us create great games for the last 10 years! 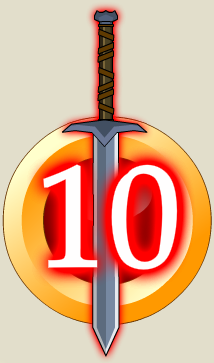 This badge shows that you helped support Artix Entertainment with the purchase of your AE 10th Anniversary Shirt from HeroMart! Requirements: Purchase the AE 10th Anniversary t-shirt from HeroMart. Opens the 10 Year Anniversary Shop. You unlocked this badge when you declared your allegiance to Xing and Xang by purchasing the Chaos Twins Print from HeroMart! Requirements: Purchase the Xing and Xang Print from HeroMart. Opens the Chaos Twin Print Shop. 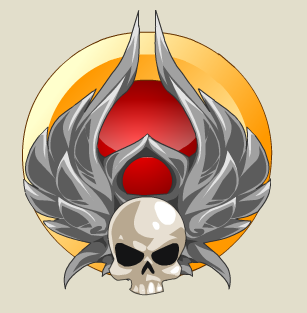 Awarded to high ranking DoomKnights to allow access to the DoomKnight OverLord class, armor, helm, weapon and castle. (Obtained from the Sepulchure Action Figure at Heromart.com or Toys"R"Us). Requirements: Purchase the Sepulchure action figure from HeroMart. Opens the Toy Sepulchure Shop. Opens the Toy Sepulchure House Shop. This achievement is unlocked by using the code provided with the purchase of the AQWorlds Battle Card Game Chaos Mod Pack. Requirements: Purchase the Chaos Mod Pack from HeroMart. Opens the Chaos Mod Pack shop. Are you Yeti? 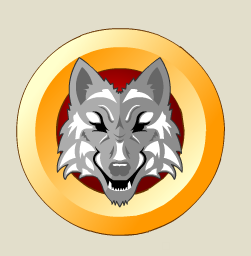 You have unlocked this badge by honoring the warriors of EpicDuel's Frystland War with the purchase of "Are You Yeti" T-Shirt from HeroMart! Requirements: Purchase the '"Are You Yeti?" T-Shirt' from [[HeroMart. Opens the Baby Yeti T-Shirt shop. Evil things come in small packages! You earned the loyalty of a Mini-Valoth Mech Pet by purchasing the MQ Finale poster from Heromart! Requirements: Purchase the MQ Finale Poster from HeroMart. Note: Opens the Mini Valoth shop. 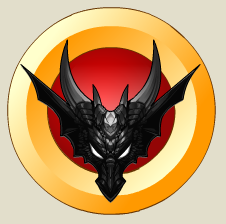 You were awarded this badge for purchasing the DragonFableT-shirt from HeroMart! 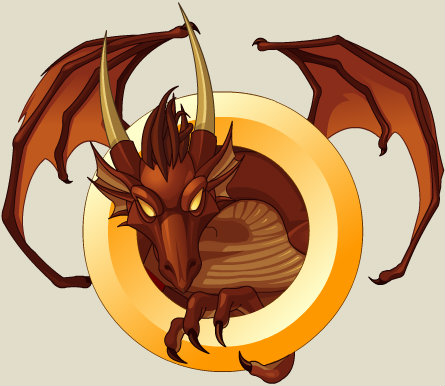 Requirements: Purchase the DragonFable Amulet T-Shirt from HeroMart. 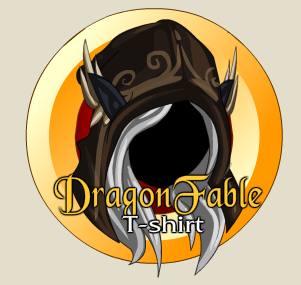 Opens the DragonFable T-Shirt Shop. Chaos is ALWAYS watching! 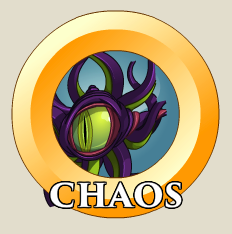 You were awarded this badge for purchasing the Chaos Eye T-shirt from HeroMart! Requirements: Purchase the Chaos Eye T-Shirt from HeroMart. Opens the Chaos Eye T-shirt shop. 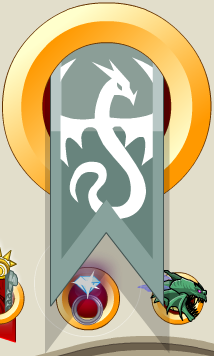 You unlocked the Artix Logo badge and Glow gear from purchasing the Artix Logo from HeroMart! Shine on! Requirements: Purchase the Glow-in-the-Dark Artix T-Shirt from Heromart. Opens the Artix Logo T-Shirt shop. This achievement is unlocked by using the code provided with the purchase of the AQWorlds Battle Card Game. Requirements: Purchase the BattleOn Battle Card Game from HeroMart. Opens the Card House Shop. Feeling energized? 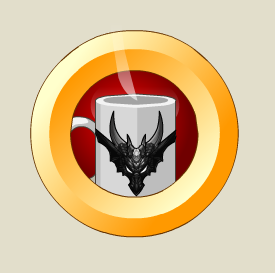 You have unlocked this badge by purchasing 1 of a limited 500 numbered run of Dage The Evil's Coffee Dragon prints. Requirements: Purchase the 'Coffee Dragon' Posters from HeroMart. Opens the Coffee Dragon Print shop. Got some time to kill? 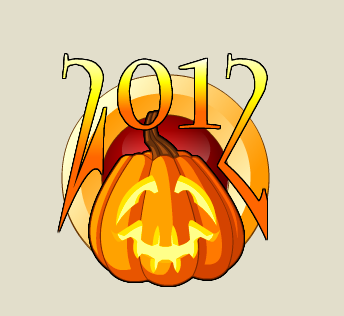 You unlocked this badge by purchasing the 2013 Artix Entertainment Calendar. Requirements: Purchase the AE 2013 Calendar from HeroMart. Opens the 2013 Calendar Shop. Our first ever Art Book! Use the code and directions on the inside cover to unlock the exclusive Skull Crusher Armor in AQWorlds (and full Meca Model in MechQuest). Requirements: Purchase the 'MechQuest Art Book' from HeroMart. Note: Opens the MechQuest Art Book Shop. Embrace the Darkness! Awarded for purchasing the Unarmored Gravelyn Print from HeroMart, our online store! Opens the Shadow Wraith Pet shop. Embrace the Darkness! Awarded for purchasing the Armored Gravelyn Print from HeroMart, our online store! Opens the Shadow of Sepulchure Shop. Embrace the Darkness! Awarded for purchasing the Unarmored and Armored Gravelyn Prints from HeroMart, our online store! Opens the Dark Empress Blade Shop. 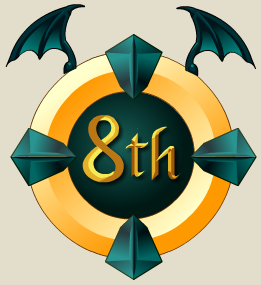 You have unlocked this badge with the purchase of the the Artists of Artix Sketchbook from HeroMart. There is no better way to learn than to observe and imitate the masters. Opens the SketchBook House Shop. 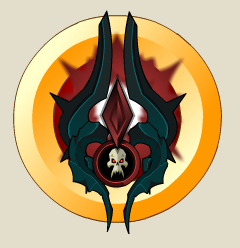 You have unlocked this badge with the purchase of the the Shadowscythe T-shirt from HeroMart. Your support of the Shadowscythe will not go unrewarded! Requirements: Purchase the ShadowScythe T-Shirt from HeroMart. Opens the Shadowscythe Shirt Shop. Ah, Bacon. Glorious bacon. Is there anything it CAN'T do? 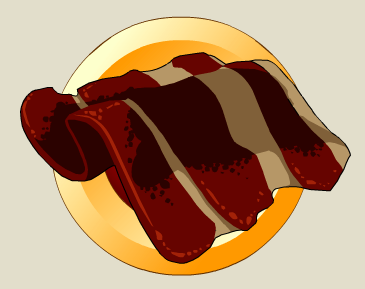 This badge shows your love for all things bacony as you have purchased the Cysero Bacon T-shirt from HeroMart! Requirements: Purchase the Cysero Bacon T-Shirt from HeroMart. Opens the Cysero Bacon T-Shirt shop. 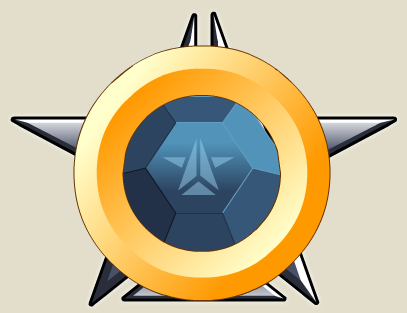 You unlocked this badge when you declared to the Universe that you ARE a Star Captain and pledged to save the MechQuest galaxy! Requirements: Purchase the Official StarCaptain Uniform T-Shirt from HeroMart. Opens the MQ T-Shirt Shop. When Artix attacks, you know the undead will be PUN-ished! 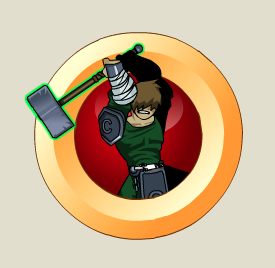 You were awarded this badge for purchasing the Artix Attacks T-shirt from HeroMart! Requirements: Purchase the Artix Attack! T-Shirt from HeroMart. Opens the Artix Attacks T-shirt shop. 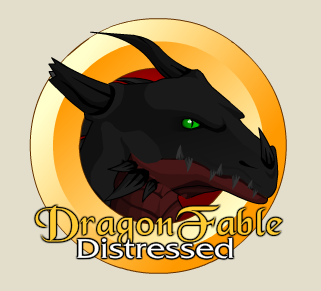 Requirements: Purchase the Distressed DragonFable Amulet T-Shirt from HeroMart. Opens the Distressed DF Shirt shop. 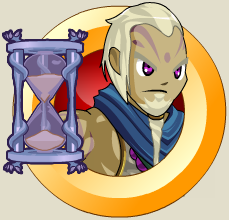 You unlocked the ChronoCommander badge, class, and gear for purchasing the 2014 AE Calendar from HeroMart! Requirements: Purchase the 2014 Artix Entertainment Calendar Poster from Heromart. Opens the 2014 Calendar shop. Behold! Dage the Evil in all his glory is preparing his undead legion for battle. You unlocked this badge by purchasing the Legro Inmortuorum poster from Heromart! 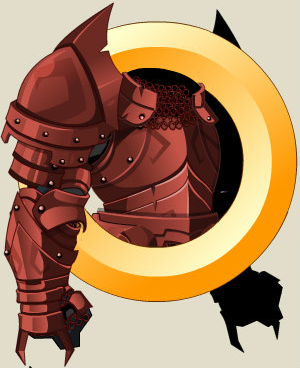 Requirements: Purchase the Dage Art Nouveau Poster from Heromart. Opens the Immortal Legion Poster shop. 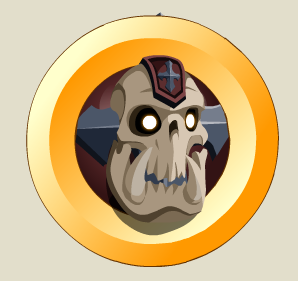 You unlocked this badge by purchasing the Artix mug from Heromart! Requirements: Purchase the Artix Entertainment Coffee Mug from Heromart. Opens the Artix Mug shop. You unlocked this badge by purchasing the EbilCorp mug from Heromart! Requirements: Purchase the EbilCorp Coffee Mug from Heromart. Opens the EbilCorp Mug shop. You unlocked this badge by purchasing the Evolved Chaos Escherion print from HeroMart! Requirement Must be one of the first 2,000 people to have purchased the Chaos Lord Escherion Print from Heromart. Note: Opens the Escherion Print Bonus shop. Requirements: Must have purchased the Chaos Lord Escherion Print from Heromart. Opens the Escherion Print shop. 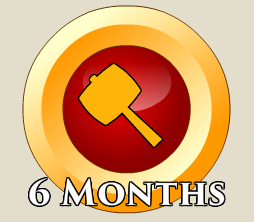 You unlocked this badge by purchasing a gift certificate from Heromart! Requirements: Must have purchased an Artix Points Gift Certificate (Delivered by Mail) from Heromart. Note: Opens the Gift Certificate shop. 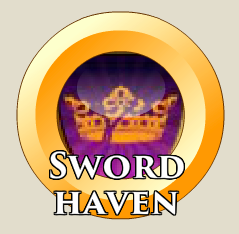 You unlocked the Captain Swordhaven badge for being one of Lore AND Heromart's GREATEST warriors! Requirements: Must have purchased the Captain America Freedom T-Shirt from HeroMart. Note: Opens the Captain Swordhaven shop. 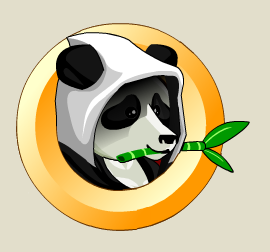 Bamboo-zzle your friends with the Panda set you unlocked by purchasing the Panda Hoodie from Heromart! Requirements: Must have purchased the Panda Hoodie from HeroMart. Opens the Panda Hoodie shop. 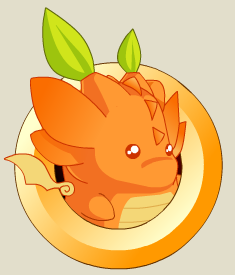 Requirements: Purchase the Drellie the Orange Dragon from Heromart. Opens the Orange Drellie (Shop). Requirements: Purchase the Zorbak Mount Drellie from Heromart. Previously called "Orange Drellie Dream". Opens the Zorbak Orange Drellie shop. Requirements: Purchase the 13 Lord of Chaos Poster from Heromart. Note: Opens the 13 Lord of Chaos Poster Shop. Requirements: Must have purchased the Legion Armor T-Shirt from HeroMart. Opens the Legion T-Shirt shop. You unlocked this badge by purchasing the Paladin T-Shirt from Heromart. Artix thanks you! Requirements: Must have purchased the Paladin Armor T-Shirt from HeroMart. Opens the Paladin T-Shirt shop. 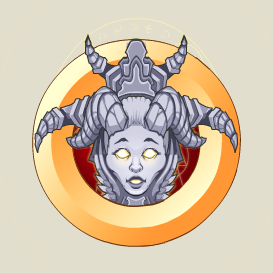 You unlocked this badge by purchasing both the Legion and Paladin T-shirts from Heromart! Dage and Artix thank you. Requirements: Must have purchased both the Legion Armor T-Shirt and Paladin Armor T-Shirt from HeroMart. Opens the Legion Paladin (Shop). 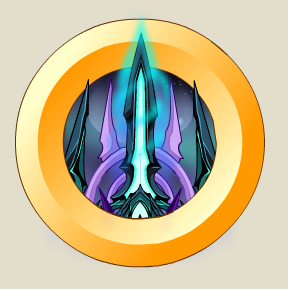 You unlocked this badge by purchasing the Dage War print. Dage the Evil salutes you! Requirements: Purchase the Legion Recruitment Scroll from Heromart. Opens the Legion Recruit Merge Shop shop. Requirements: Must have purchased the AE Panel Survivor T-shirt at Dragon*Con 2014 in Atlanta, Georgia. Note: Opens the AE Panel Survivor shop. You've unlocked this badge for purchasing the Marvel Spiderman T-shirt from Heromart! Requirements: Must have purchased the Spiderman Marvel 75th Anniversary Limited Edition T-Shirt from HeroMart. Opens the Marvel Spiderman shop. You've unlocked this badge by purchasing the Marvel Iron Man shirt from HeroMart! Requirements: Must have purchased the Iron Man Marvel 75th Anniversary Limited Edition T-Shirt from HeroMart. Opens the Marvel Ironman shop. 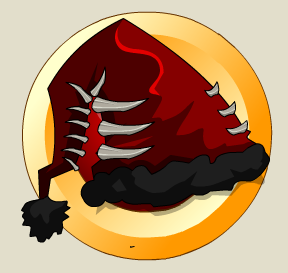 You unlocked this badge by purchasing the Holiday Zorbak shirt from Heromart! Zorbak says "ME HE HE, Merry Frostval!" Requirements: Must have purchased the Zorbak Ugly Sweater T-Shirt from HeroMart. Opens the Holiday Zorbak (Shop). Opens the Za'nar Book shop instead. You unlocked this badge for purchasing Zack Storch's Za'nar: Impossibility novel! May your adventures be grand! Requirements: Must have purchased the Za'nar:Impossibility novel from HeroMart. Note: Opens the Za'nar Book House Shop. 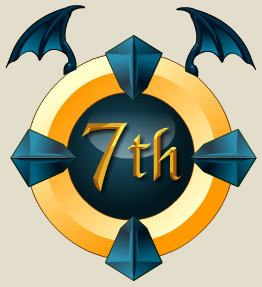 You unlocked this badge by purchasing the J6 T-Shirt! J6 guarantees you a seat on the Hyperium the next time he lands on your planet! Requirements: Must have purchased the J6 Evolution T-Shirt from HeroMart. Opens the J6: Evolution shop. You've unlocked this badge by purchasing the Heroes T-Shirt from Heromart! Battle On! Requirements: Must have purchased the AQWorlds Heroes T-Shirt from HeroMart. Opens the Heromart Heroes Shirt shop. 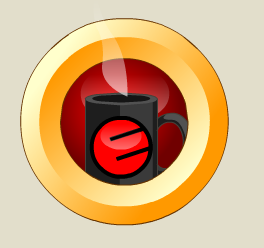 You unlocked this badge by purchasing both the Artix Entertainment coffee mug and the EbilCorp mug from HeroMart! Requirements: Purchase the Artix Entertainment and EbilCorp Coffee Mugs from HeroMart. Opens the Double Mug shop. 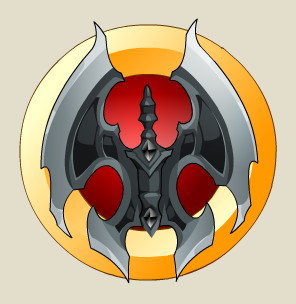 You unlocked this badge by supporting Chaos and purchasing the Drakath print from Heromart! 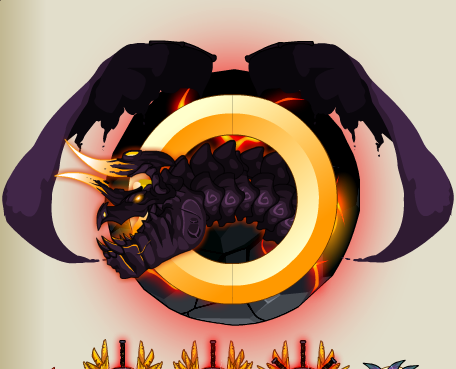 Requirements: Purchase the Chaos of Chaos: Drakath Print from Heromart. Opens the Drakath Print shop. You've unlocked this badge by purchasing the Villains T-Shirt from Heromart! Battle On! Requirements: Must have purchased the AQWorlds Villains T-Shirt from HeroMart. Opens the Heromart Villains T-Shirt shop. You've unlocked this badge by purchasing both the Heroes and Villains T-Shirts from Heromart! Battle On! Requirements: Must have purchased the AQWorlds Heroes T-Shirt and AQWorlds Villains T-Shirt from HeroMart. Opens the Heroes and Villains Combo shop. You've unlocked this badge by purchasing the Chaos Queen Beleen print from HeroMart! Requirements: Must have purchased the Chaos Queen Beleen Print from HeroMart. 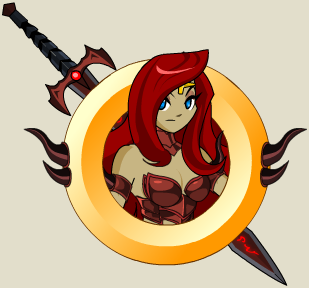 Opens the Chaos Queen Beleen (Shop). You unlocked this badge by purchasing the 2016 Calendar from Heromart. May the guardians always watch over you! Requirements: Purchase the 2016 Guardians Flip Calendar from Heromart. Opens the 2016 Calendar shop. You unlocked this badge by purchasing the 2017 Calendar from Heromart. May your adventures always be epic! Requirements: Must have purchased the 2017 "Year of Adventure" Calendar to access this shop. Opens the 2017 Calendar shop. You unlocked this badge by purchasing the 2015 Calendar from Heromart. May the dragons always watch over you! Requirements: Purchase the 2015 AEDragons Flip Calendar from Heromart. Opens the 2015 Calendar shop. Opens the Za'nar Book House Shop instead. You've unlocked this badge for purchasing Zack Storch's Zanar: Impossibility novel! May your adventures be grand! Requirements: Must have purchased the Za'nar: Impossibility novel from HeroMart. Opens the Za'nar Book shop. 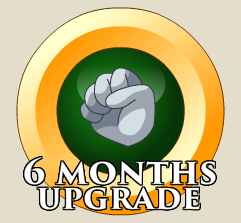 You unlocked this badge by purchasing both the original and new J6 T-Shirts! J6 guarantees you a seat on the Hyperium the next time he lands on your planet! Requirements: Must have purchased the J6 T-Shirt and the J6 Evolution T-Shirt from HeroMart. Opens the J6: Bundle shop. You were in AQWorlds first birthday! Requirements: Purchase an AdventureCoin package any time from October 1st to October 31st, 2009, or have an active membership that expires on or after October 31st, 2009. Opens the 1st Upholder shop. You were in AQWorlds second birthday! Requirements: Must have an active membership that expires on or after November 3rd, 2010. Opens the 2nd Upholder shop. You were in AQWorlds third birthday! Requirements: Must have an active membership that expires on or after November 4th, 2011. Opens the 3rd Upholder shop. 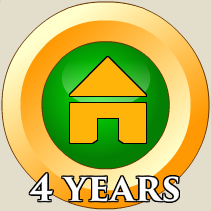 An honorable award presented to those who helped support AQWorlds on our 4th birthday on October 10th, 2012! Thank you for celebrating with us! Requirements: Must have an active membership that expires on or after November 1st, 2012. Opens the 4th Upholder shop. 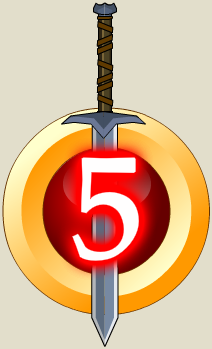 An honorable award presented to those who helped support AQWorlds on our 5th birthday on October 10th, 2013! Thank you for celebrating with us! Requirements: Must have an active membership that expires on or after November 1st, 2013. Opens the 5th Upholder shop. 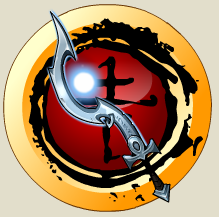 An honorable award presented to those who helped support AQWorlds on our 6th birthday on October 10th, 2014! Thank you for celebrating with us! Requirements: Must have an active membership that expires on or after November 1st, 2014. Opens the 6th Upholder shop. 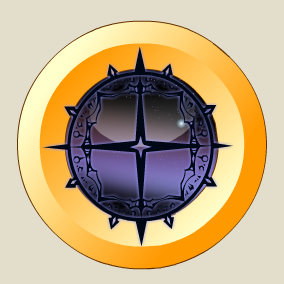 An honorable award presented to those who helped support AQWorlds on our 6th 7th birthday on October 10th, 2015! Thank you for celebrating with us! Requirements: Must have an active membership that expires on or after November 1st, 2015. 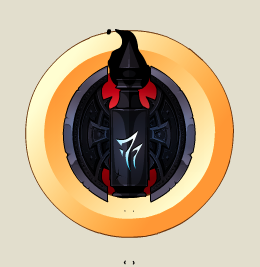 Opens the 7th Upholder shop. An honorable award presented to those who helped support AQWorlds on our 8th birthday during October of 2016! Thank you for celebrating with us! Requirements: Must have an active membership that expires on or after November 1st, 2016. Opens the 8th Upholder shop. You are a founder in AQWorlds! Requirements: Purchase a membership during AQW's first month after being released. This achievement is unlocked by the purchase of a 2k AC Package. Requirements: Must have purchased a 2k AC package from the Upgrade Page. Note: Opens the Legend Bonus 2k AC Shop. You never miss your mark! You have unlocked this badge by purchasing an Artix Entertainment upgrade card from Target. Requirements: Purchase an Artix Entertainment upgrade card from Target. Note: Opens the Target Promo Shop. 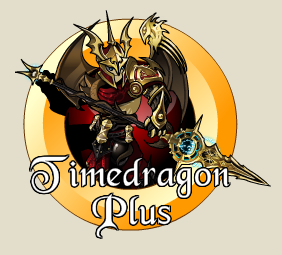 You unlocked this badge and rare armor set by supporting AQW with the limited time Golden Plate Package! Requirements: Must have purchased a 1 Year Membership Golden Plate Package from the Upgrade Page. 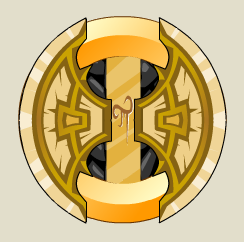 Opens the Golden Plate Promo shop. 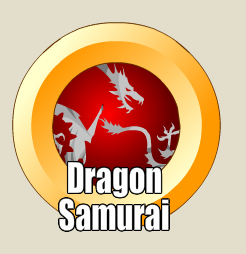 You unlocked this badge and rare armor by supporting AQW with the limited-time Jade Samurai 12 Month Upgrade Package! Requirements: Must have purchased a Jade Samurai 12 Month from the Upgrade Page at the time of the offer. Opens the Jade Samurai (Shop). 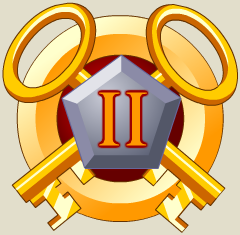 This achievement is unlocked if you have upgraded in our 3rd game, MechQuest! You can verify your upgrade using the "Verify" link on the homepage. Requirements: Verify your MechQuest Star Captain account. Note: Unlocks Star Captain Shop in Guardian Tower (Location) (1). This achievement is unlocked by the purchase of a 12k AC package. Requirements: Purchase the 12,000 AC package from the Upgrade Page. Note: Opens Legend Bonus 12K AC Shop. 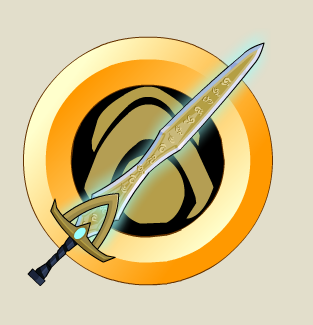 Awarded to active AQW Members who helped the team test and reduce the lag in AQW. Requirements: Must have logged on the PTR server anytime between July 1st - August 31st, 2012. Opens Lag PTR Reward shop. Your command over fire and ice is unmatched while you contril the Flamestop Blade. You have unlocked this badge by purchasing an Artix Entertainment upgrade card from GameStop. Requirements: Purchase an Artix Entertainment upgrade card from GameStop. Note: Opens the GameStop Promo Shop shop. 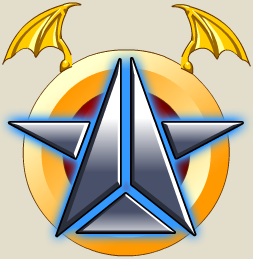 You have earned this badge for helping the AE team test a new AQW engine on the Public Testing Realm server! Requirements: Must have been logged onto the PTR server anytime between February 2010 - April 2010. You have completed the Tutorial and saved Oaklore from the Red Dragon. Requirements: Must have completed the Tutorial in Oaklore Keep. Requirements: Purchase a 5k AC package from the Upgrade Page. Note: Opens the Legend Bonus 5k AC Shop. 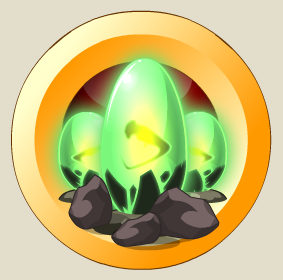 This achievement is unlocked if you have upgraded in our 1st game, the original AdventureQuest! You can verify your upgrade usiing the "Verify" link on the homepage. Requirements: Verify your AdventureQuest Guardian account. Note: Unlocks Guardian Shop in Guardian Tower (Location) (1). 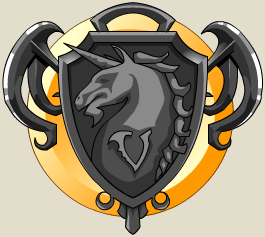 This achievement is unlocked if you have upgraded in our 2nd game, DragonFable! You can verify your upgrade using the "Verify" link on the homepage. Requirements: Verify your DragonFable DragonLord account. Note: Unlocks DragonLord Shop in Guardian Tower (Location) (1). 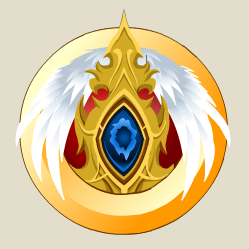 You have unlocked this badge and both the Astral Guardian AND Wanderer sets by supporting AQWorlds! You're out of this world, Hero! Requirements: Must have purchased the Astral Guardian special offer by purchasing a 3 month membership OR 5k ACs. 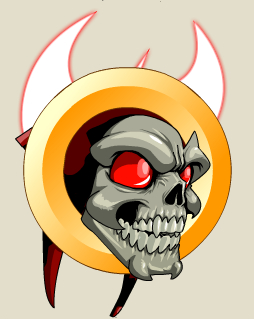 You unlocked this badge and rare armor set by supporting AQW with the limited time DOOM Starter package! Requirements: Must have purchased the Doom Starter Package. Note: Opens the Doom Starter Package Deathknight Shop. 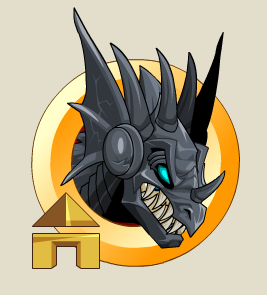 You unlocked this badge and rare armor set by supporting AQW with the limited time TrophyHunter offer! Requirements: Must have purchased the Trophy Hunter special offer by purchasing a membership or AdventureCoins in Canada, Denmark, Sweden, Norway, Australia or UK. Note: Opens the Trophy Hunter Shop. 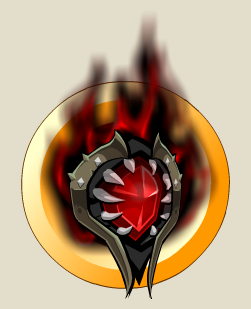 You unlocked this badge and the Shadowfire Emissary set when you took control of the empire through the power of your magic and a 1 month upgrade package! Requirements: Must have purchased the Shadowfire Emissary special offer by purchasing a 1 month membership. Opens the Shadowfire Emissary Shop. 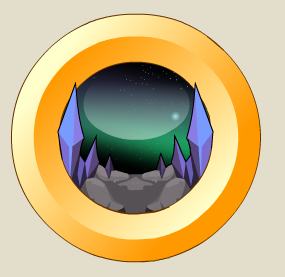 You unlocked this badge and the Shadow Sorcerer set when you took control of the shadows by purchasing a 5000 AdventureCoin package! Requirements: Must have purchased the Shadow Sorcerer special offer by purchasing 5k ACs. Opens the Shadow Sorcerer (Shop). Get membership within 72 hrs of account creation! Requirements: Purchase a membership within 72 hours of account creation since August 1, 2011. This achievement is unlocked by the purchase of a 900 AC Package. This items can be used by ALL players! Requirements: Must have purchased a 900 AC package from the Upgrade Page. Note: Opens the 900 AC Bonus Shop. 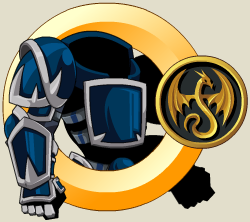 You unlocked this badge and rare armor set by supporting AQW with the limited time Silver Duelist Package! Requirements: Must have purchased the Silver Duelist special offer. The offer is only randomly available in-game. Opens the Silver Duelist shop. 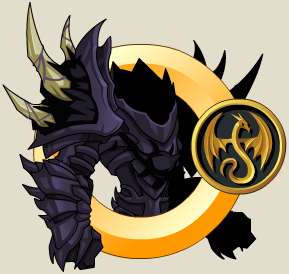 You unlocked this badge and rare armor set by supporting AQW with the limited time StormBringer offer! Requirements: Must have purchased the StormBringer special offer by purchasing a membership or AdventureCoins. Note: Opens the StormBringer (Shop). 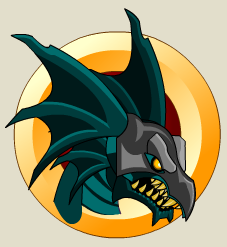 You unlocked this badge and rare armor set by supporting AQW with the limited time DragonClaw offer! Requirements: Must have purchased the DragonClaw special offer by purchasing an AdventureCoin package. 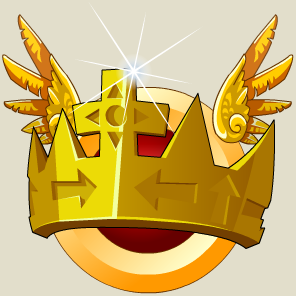 You unlocked this badge and the Royal Commander set when you become one of Lore's greatest Heroes with a 1 month upgrade! Requirements: Must have purchased the Royal Commander special offer in-game. Opens the Royal Commander (Shop). 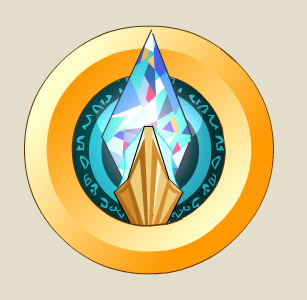 You unlocked this badge and the LightCaster by supporting AQWorlds! Destroy the Darkness, Hero! Requirements: Must have purchased the LightCaster special offer by purchasing a 3 month membership OR 5k ACs. You unlocked this badge and the Kanataka Warrior set when you pledged to defend Yokai Isle! Requirements: Must have purchased the Kanataka Warrior special offer in-game. Opens the Kanataka Warrior (Shop). 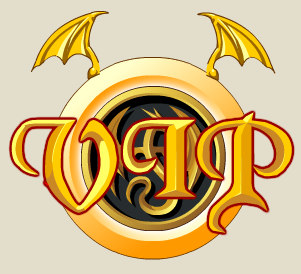 You unlocked this badge and rare armor set by supporting AQW with the limited-time Golden Fury 12 Month Member Upgrade Package Golden Plate Package! Requirements: Must have purchased the Golden Fury 12 Month package from the Upgrade Page at the time of the offer. Opens the Golden Fury (Shop). 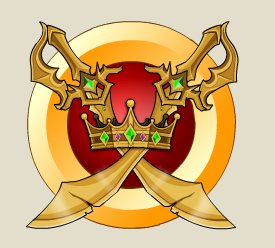 You unlocked this badge and the Shadowfire Emperor set when you took control of the empire! Requirements: Must have purchased the ShadowFire special offer by purchasing an AdventureCoin package. Opens the ShadowFire Emperor (Shop). C-c-c-c-COMBO BREAKER! You unlocked the Combo Breaker set when you bought an Artix Game Card from Gamestop. Game On! Requirements: Must have redeemed an Artix Game Card from Gamestop between July 25th and August 25th 2013. Note: Opens the Combo Breaker (Shop). YOU are one of Lore's Legendary Heroes! Thank you for supporting AQWorlds and for battling to save our world! Requirements: Must be a Legend, or have ever upgraded at least once before. Note: Opens the Legendary Hero (Shop). 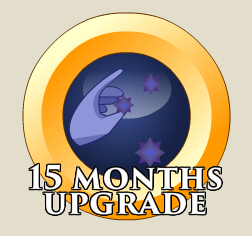 You unlocked this badge and the Shadow Sorcerer set when you took control of the darkest magic by purchasing a 3 month upgrade package! Requirements: Must have purchased the Blood ShadowCaster special offer by purchasing a 3 month membership. Opens the Blood Shadowcaster shop. 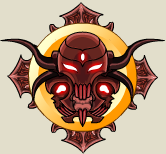 You unlocked this badge by purchasing the Black Friday: Shadowspawn Warrior package! Requirements: Must have purchased a 3 month membership, 6 month membership, 12 month membership, 5k AdventureCoins, OR 12k AdventureCoins package. Opens the Shadowspawn Warrior (Shop). 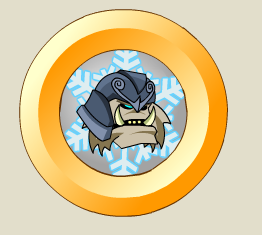 You unlocked this badge by purchasing the Glacial Warlord Frostval package! Requirements: Must have purchased a 3 month membership, 6 month membership, 12 month membership, 2k AdventureCoins, 5k AdventureCoins, OR 12k AdventureCoins package. Opens the Glacial Warlord (Shop). 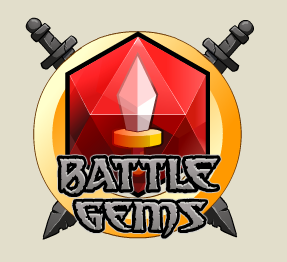 You unlocked this badge when you became a founder in AE's first mobile game, Battle Gems! Requirements Must have purchased the Founder package in BattleGems. Opens the Battle Gems Founder shop. The timedragon thanks its most valiant defender! Requirements: Must have purchased either a 3 month membership or 5k ACs package. Opens the Timedragon Warrior (Shop). 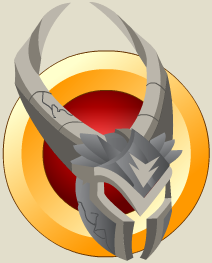 You unlocked this badge by purchasing one of the 5000 Lavastorm Lord Gear sets! 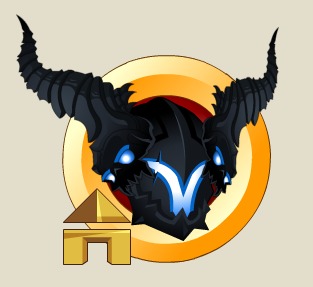 Requirements: Must have purchased the Lavastorm Lord Set badge from the AQW Limited Quantity Shop site. Note: Opens the Lavastorm Lord Set shop. 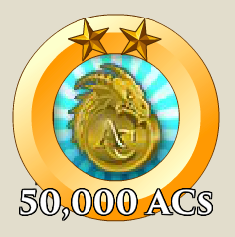 You unlocked this badge by purchasing one of the 5000 Dragon Salvation sets! Requirements: Must have purchased the Dragon Salvation Set badge from the AQW Limited Quantity Shop site. Note: Opens the Dragon Salvation Set shop. 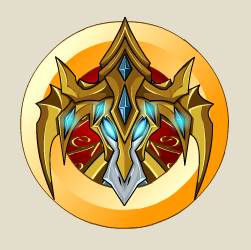 You unlocked this badge by purchasing one of the 30000 Shadowdragon Gear sets! 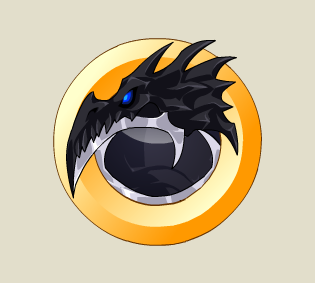 Requirements: Must have purchased the Shadowdragon Set badge from the AQW Limited Quantity Shop site. Note: Opens the Shadowdragon Set shop. 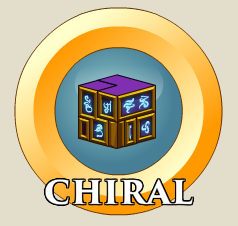 You unlocked this badge by creating a Guild Hub with Guild Launch! You must make a Guild Launch account. You must sync your AQW account to the Guild Launch account. You must either make a Guild Hub, or be the member of a guild who has already made a Guild Hub. Opens the Guild Launch shop. You are the Warlock Grand Master! Even the Dragon Emperors must tread carefully when you are near! Requirements: Must have purchased a 12 month membership package. Opens the Warlock Grand Master (Shop). You are the Forsaken Warlock! Even the Dragon Emperors must tread carefully when you are near! Requirements: Must have purchased a 6 month memebership or 12k Adventure Coin package. Opens the Forsaken Warlock (Shop). You are a Warlock Adept! Even the Dragon Emperors must tread carefully when you are near! Requirements: Must have purchased a 3 month membership or 5k Adventure Coin package. Opens the Warlock Adept (Shop). 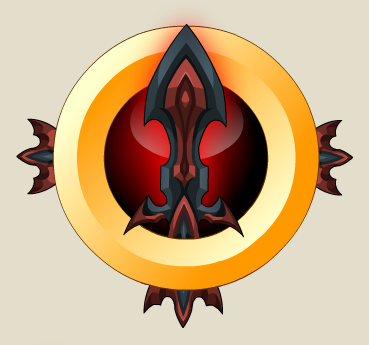 You unlocked this badge by purchasing one of the 10000 Chaos Paragon sets! 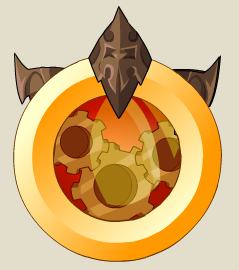 Requirements: Must have purchased the Chaos Paragon Set badge from the AQW Limited Quantity Shop site. 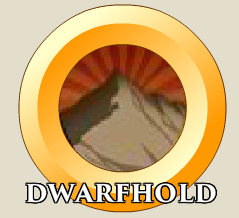 You unlocked this badge by purchasing one of the 5000 Eternal Warrior sets. 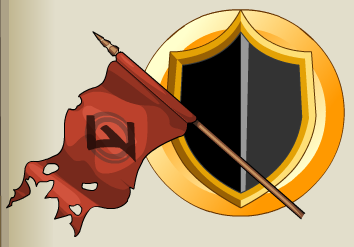 Requirements: Must have purchased the Eternal Warrior Set badge from the AQW Limited Quantity Shop site. Note: Opens the Eternal Warrior (Shop). 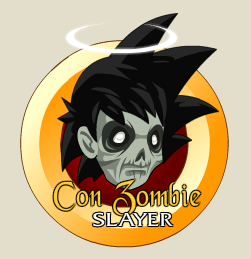 You unlocked this badge by purchasing one of the 15000 Chaos Conqueror sets. 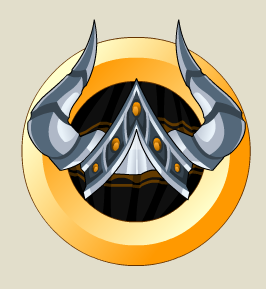 Requirements: Must have purchased the Chaos Conquerer Set badge from the AQW Limited Quantity Shop site. Note: Opens the Chaos Conqueror (Shop). 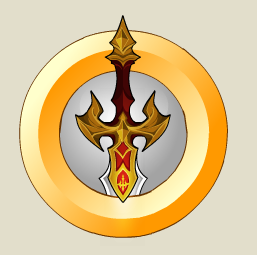 You unlocked this badge by purchasing one of the 51000 Eternal Warrior sets. 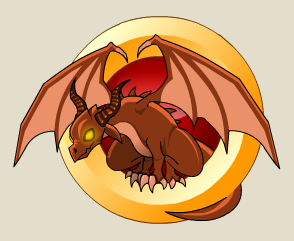 Requirements: Must have purchased the Blazing Chaos Pet badge from the AQW Limited Quantity Shop site. Note: Opens the Blazing Chaos shop. 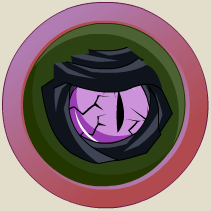 You unlocked this badge by purchasing one of the 30000 Nine Tentatails sets. 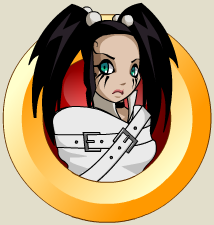 Requirements: Must have purchased the Nina TentaTails Set badge from the AQW Limited Quantity Shop site. Note: Opens the Nine Tentatails shop. You unlocked this badge and the Shadowfall Commander set when you vowed to defend the Empress by buying a 5000 AC package. Requirements: Must have purchased the Shadowfall Commander special offer by purchasing 5k or 12k ACs. Opens the Shadowfall Commander (Shop). You are the Shadow Warlock! Creatures of light must tread carefully when you are near! Requirements: Must have purchased membership or AdventureCoins during the month of June. Opens the Shadow Warlock (Shop). 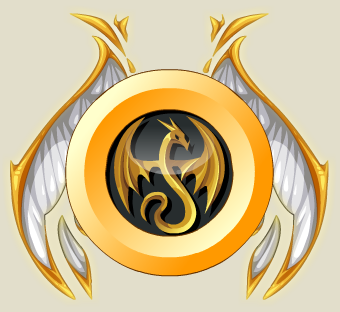 You unlocked this badge by purchasing one of 7,500 flying Shadowscythe Gryphon sets! 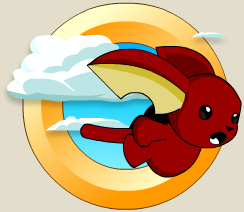 Requirements: Must have purchased the Shadowscythe Flying Gryphon Set badge from the AQW Limited Quantity Shop site. 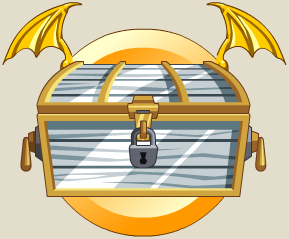 Note: Opens the Shadowscythe Gryphon (Shop). 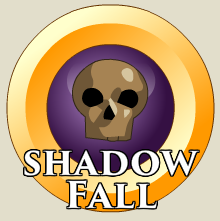 You unlocked this badge by purchasing one of 15,000 Shadowscythe GryphonRider sets! 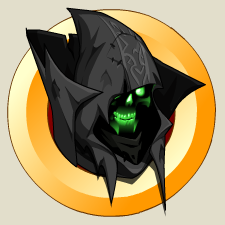 Requirements: Must have purchased the Shadowscythe GryphonRider Set badge from the AQW Limited Quantity Shop site. Note: Opens the Shadowscythe Rider shop. You unlocked this badge by purchasing one of 5,000 flying Dread Leopard Gryphon sets! 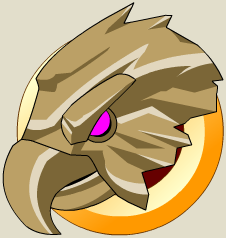 Requirements: Must have purchased the Dread Leopard Flying Gryphon Set badge from the AQW Limited Quantity Shop site. Note: Opens the DreadLeopard Gryphon shop. You unlocked this badge by purchasing one of 15,000 Dread Leopard GryphonRider sets! 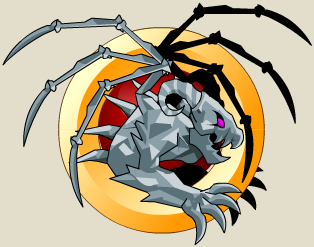 Requirements: Must have purchased the Dread Leopard GryphonRider Set badge from the AQW Limited Quantity Shop site. Note: Opens the DreadLeopard GryphonRider shop. 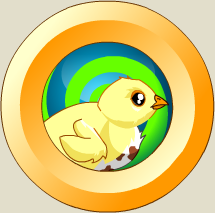 You unlocked this badge by purchasing one of 7,500 flying Bright Gryphon sets! 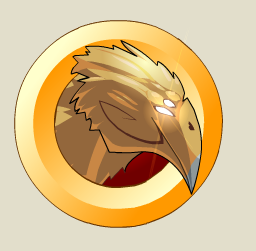 Requirements: Must have purchased the Bright Flying Gryphon Set badge from the AQW Limited Quantity Shop site. Note: Opens the Bright Gryphon shop. 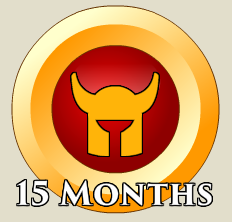 You unlocked this badge by purchasing one of 15,000 Bright GryphonRider sets! 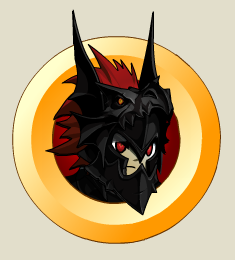 Requirements: Must have purchased the Bright GryphonRider Set badge from the AQW Limited Quatity Shop site. Note: Opens the Bright GryphonRider shop. 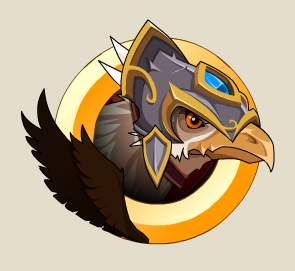 Requirements: Must have purchased the GryphonRider Guards Set badge from the AQW Limited Quantity Shop site. Note: Opens the GryphonRider Guards shop. 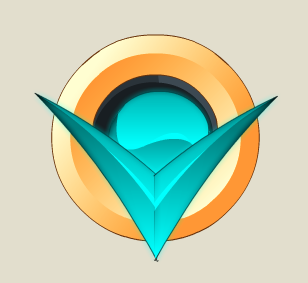 You unlocked this badge purchasing an Upgrade through Paymentez! Battle On! Requirements: Purchase a 3 month or 5,000 AC Package using Paymentez payment option from 04/01/14 to 04/30/14. Opens the Verde Warrior shop. Requirements: Purchase a 6 month or 12,000 AC Package using Paymentez payment option from 04/01/14 to 04/30/14. Opens the Intiero Warrior shop. You unlocked this package by purchasing a 12 month upgrade! Requirements: Must have purchased either a 3 month membership or 5k ACs. 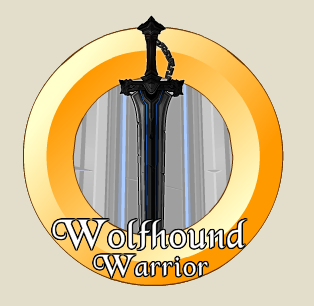 Opens the Wolfhound Warrior (Shop). You unlocked this package by purchasing the 2rd tier of the Wolfhound Warrior set! Requirements: Must have purchased either a 6 month membership or 12k ACs. 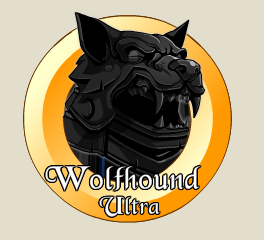 Opens the Wolfhound Ultra shop. 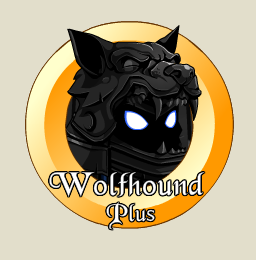 You unlocked this package by purchasing the 3rd tier of the Wolfhound Warrior set! Requirement: Must have purchased a 12 month membership. 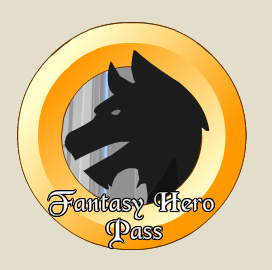 Requirements: Must have purchased the Fantasy Hero Pass Package from the Battleon Portal site. Opens the Fantasy Hero Pass shop. 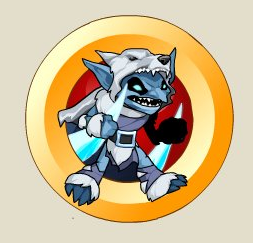 You unlocked this badge by purchasing one of the 5000 Glacier Lord sets! 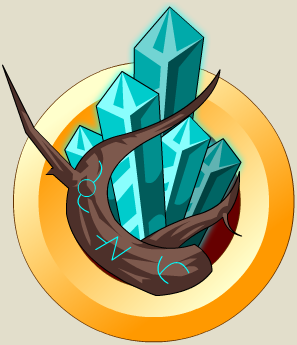 Requirement: Must have purchased the Glacial Lord Set Shop Badge from the AQW Limited Quatity Shop site. Note: Opens the Glacier Lord Set shop. Requirements: Must have purchased the Dark DragonMaster special offer by purchasing 5k or 12k ACs. Opens the Dark DragonMaster (Shop). You have purchased at least 3 months of memberships in AQWorlds. You have been battle tested and have come through smiling. Requirements: Purchase at least 3 months membership on upgrade history. Opens 3 Month Legend Shop. You've unlocked the BrightFall Commander badge by purchasing a 12 month upgrade! Requirement: Must have purchased the BrightFall Commander offer by purchasing a 12 month membership. 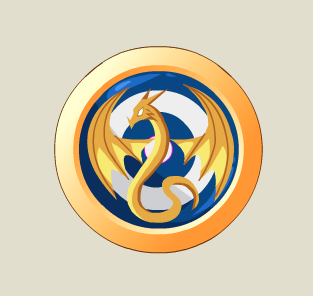 You unlocked this badge by upgrading in AQ:Dragons! Thank you for supporting Artix Entertainment! Requirements: Must have purchased the Founder Package in Adventure Quest Dragons. Opens the AQ:Dragons Founder shop. 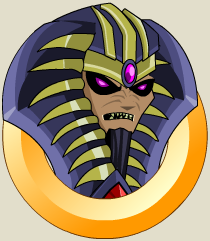 You unlocked this badge by purchasing AdventureCoins, Sepulchure salutes you! 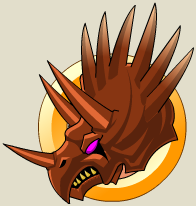 Requirements: Must have purchased the Draconic DoomKnight offer by purchasing a 2,000 AC package. Opens the Draconic DmK Tier 1 Shop. Happy Holidays and Season's Beatings! You festooned the 2014 Holiday Art contest with your yuletide merriment (and artistic talent) and have been awarded this badge! Requirements: Awarded to the winners of the Holiday Greetings & Seasons Beatings contest. 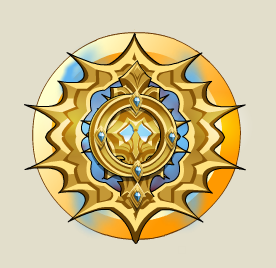 You unlocked this badge by purchasing the Golden Gladiator Tier 1 package. May all your battles be victorious! Requirements: Must have purchased a 1 month membership or 2,000 ACs. Opens the Golden Gladiator Tier 1 shop. 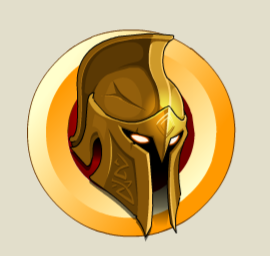 You unlocked this badge by purchasing the Golden Gladiator Tier 2 package. May all your battles be victorious! Requirements: Must have purchased a 3 month membership or 5,000 ACs. Opens the Golden Gladiator Tier 2 shop. 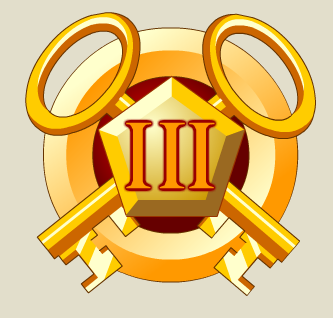 You unlocked this badge by purchasing the Golden Gladiator Tier 3 package. May all your battles be victorious! Requirements: Must have purchased a 6 month membership or 12,000 ACs. Opens the Golden Gladiator Tier 3 shop. You unlocked this badge by purchasing the Golden Gladiator Tier 4 package. May all your battles be victorious! Requirements: Must have purchased a 12 month membership. Opens the Golden Gladiator Tier 4 shop. 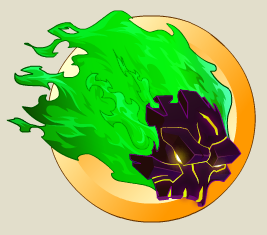 You unlocked the Fyreborn TigerMaster badge by purchasing AdventureCoins in AQWorlds! The Firestorm Onslaught appreciates your support! Requirements: Must have purchased a 2,000 AC package. Opens the Fyreborn Tier 1 shop. Requirements: Must have purchased a 5,000 AC package. Opens the Fyreborn Tier 2 shop. Requirements: Must have purchased a 12,000 AC package. Opens the Fyreborn Tier 3 shop. 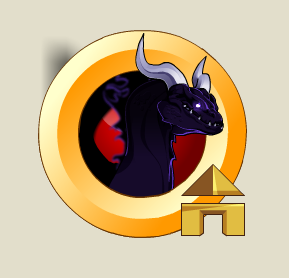 You've unlocked the ShadowFlame DragonSlayer badge buy purchasing 12000 AdventureCoin package! Opens the Shadowflame Champion (Shop). You became a bone-ified Obsidia Necromancer by purchasing a 12000 AdventureCoin package. The Darkness approves! Requirements: Must have purhcased a 12,000 AC package. Opens the Necromancer AC pkg shop. 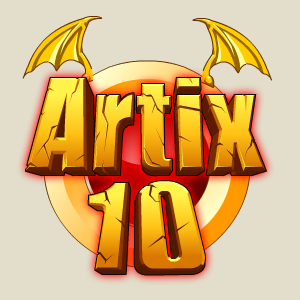 You unlocked this badge by purchasing the 10k Artix Points package! Requirements: Must have purchased a 10k Artix Points package from the Portal Site. Opens the Bitterfrost Dragon shop. Requirements: Must have purchased either a 6 month membership or 12k ACs package. Opens the Timedragon Warrior Plus shop. 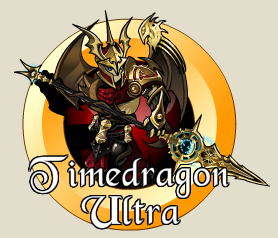 Opens the Timedragon Warrior Ultra shop. You are the commander of Dragons… all shall bow before you! Opens the Dragon Commander (Shop). You are the champion of Dragons… all shall bow before you! Opens the Dragon Champion (Shop). You are the ruler of Dragons… all shall bow before you! Opens the Dragon Emperor (Shop). You've unlocked this badge by purchasing the Centaur Marauder Tier 1 package. Now you can be one of Lore's four-legged legends. Requirements: Must have purchased a 1 month membership package. Opens the 1 month Centaur shop. 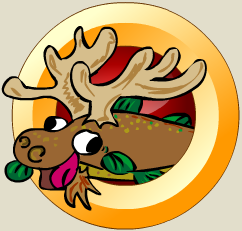 You've unlocked this badge by purchasing the Centaur Marauder Tier 2 package. Now you can be one of Lore's four-legged legends. Requirements: Must have purchased a 3 month membership package. Opens the 3 months Centaur shop. You've unlocked this badge by purchasing the Centaur Marauder Tier 3 package. Now you can be one of Lore's four-legged legends. Requirements: Must have purchased a 6 month membership package. Opens the 6 months Centaur shop. You've unlocked this badge by purchasing the Centaur Marauder Tier 4 package. Now you can be one of Lore's four-legged legends. Opens the 12 months Centaur shop. 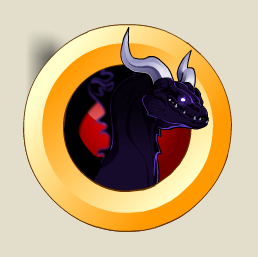 You've unlocked the ShadowFlame DragonSlayer badge buy purchasing a 2000 or 5000 AdventureCoin package! Requirements: Must have purchased a 2,000 or 5,000 AC package. Opens the Shadowflame Warrior shop. You unlocked this badge by purchasing one of the Limited Quantity Dreadspace packages. Thank you for supporting AQWorlds! 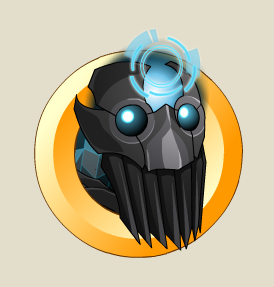 Requirements: Must have purchased Dage's DreadSpace Package from the LQS page. Note: Opens the Featured Artist LQS Dage shop. 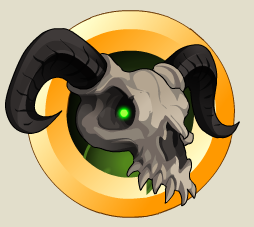 You unlocked this badge by purchasing one of the Limited Quantity Nulgath Void Rider packages. Thank you for supporting AQWorlds! Requirements: Must have purchased Nulgath's Void Rider Package from the LQS page. Note: Opens the Featured Artist LQS Nulgath (AC) shop. Requirements: Must have purchased Nulgath's Void Rider and Pet Package from the LQS page. Note: Opens the Featured Artist LQS Nulgath (Legend) shop. You unlocked this badge by purchasing Memet's Baku Limited Quantity Package. Thank you for supporting AQWorlds! Requirements: Must have purchased Memet's Baku Ghost Pet Package from the LQS page. Note: Opens the Featured Artist LQS Memet shop. 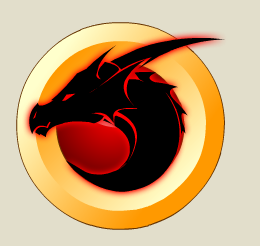 Not only have you unlocked the ShadowFlame DragonSlayer badge, but you have ALSO unlocked the UTIMATE ShadowFlame shop! Here you can merge all your ShadowFlame items to create ULTIMATE versions of them! Requirements: Must have purchased a 2k or 5k AdventureCoins Package. Note: Opens the Shadowflame Warrior Merge shop. Requirements: Must have purchased a 12k AdventureCoins Package. Note: Opens the Shadowflame Champion Merge shop. 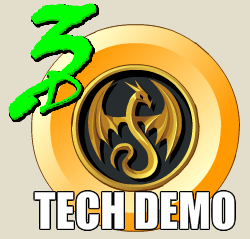 Requirements: Must have participated in the "AdventureQuest 3D Tech Demo" from November 24, 2014 - August 2, 2015. Opens the AQ3D Tech Demo Tester shop. 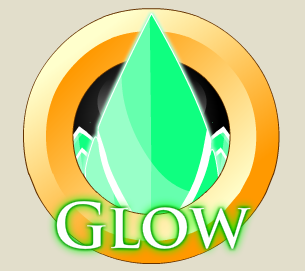 You unlocked this badge by purchasing one of the limited quantity Paragon of Light armor sets. 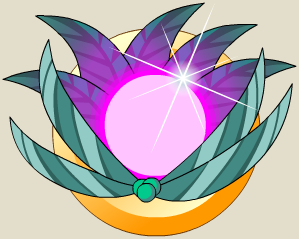 Requirements: Must have purchased the Paragon of Light from the AQW Limited Quantity Shop site. Note: Opens the Paragon of Light (Shop). 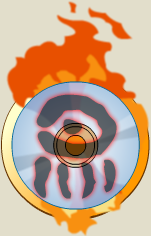 You unlocked this badge by purchasing one of the limited quantity Data Elemental pet and weapon combos! Requirements: Must have purchased the Data Elemental Combo from the AQW Limited Quantity Shop site. Note: Opens the Data Elemental Combo shop. 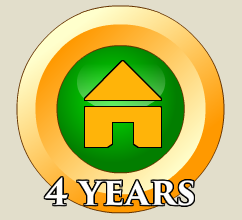 You unlocked this badge by purchasing one of the limited quantity Bright Fortress houses! Requirements: Must have purchased the Bright Fortress AC House from the AQW Limited Quantity Shop site. Note: Opens the Bright Fortress (Shop) (AC). 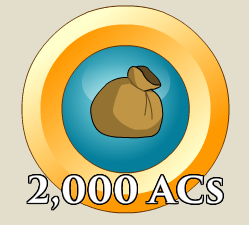 You unlocked this badge by purchasing a 2000, 5000, or 12000 AdventureCoin package! Thank you for supporting AdventureQuest worlds! Requirements: Must have purchased the Greywolf Commander offer by purchasing a 2k+ AC package. Opens the Greywolf Commander (Shop). 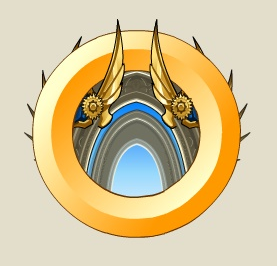 Purchase at least 15 months of memberships to AQWorlds to unlock this badge! Requirements: Purchase at least 15 months membership on upgrade history. Opens 15 Month Legend Shop. 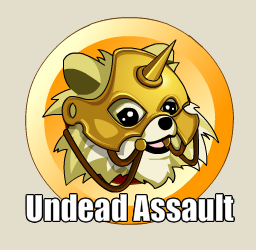 You unlocked this badge for buying the 3X Multiplier in our Undead Assault mobile game. The Paladins of Lore salute you, Hero. May your battles against the undead be always victorious! Battle ON! Requirements: Must have purchased 3X Multiplier in Undead Assault. 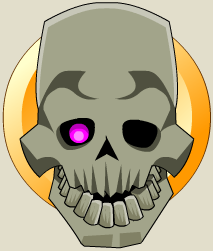 Opens the Undead Assault Badge shop. You've defeated 100 monsters in the /battlecon map! Way to save the 'Con! Requirements: Must have completed the 'Cosplay Zombies On Parade' quest. You unlocked this badge by purchasing an AdventureCoin package. 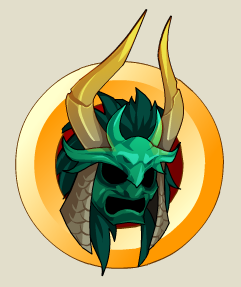 The samurai of Yokai's Dragon Clan salute you! Requirements: Must have purchased a 2k+ AC package. Opens the Dragon Samurai AC package shop. 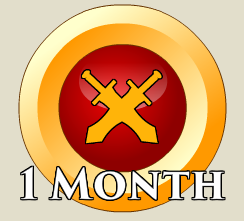 You unlocked this badge by purchasing the 12 month membership package. King Alteon thanks you! Opens the 12 Month Swordhaven Royalty shop. 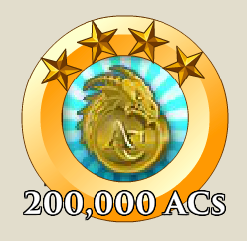 You unlocked this badge by purchasing a 2000 AdventureCoin package. The Lords of Doom welcome you to the shadows! Opens the 2k Lord of Doom Shop. You unlocked this badge by purchasing a 5000 AdventureCoin package. The Lords of Doom welcome you to the shadows! Opens the 5k Lord of Doom Shop. 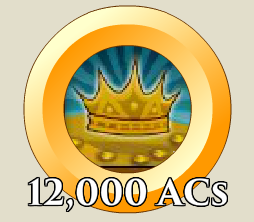 You unlocked this badge by purchasing a 12000 AdventureCoin package. The Lords of Doom welcome you to the shadows! Opens the 12k Lord of Doom Shop. 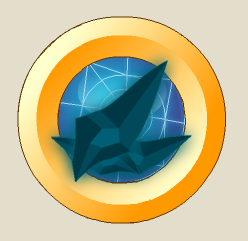 You unlocked this badge by purchasing an AdventureCoin or Membership package. 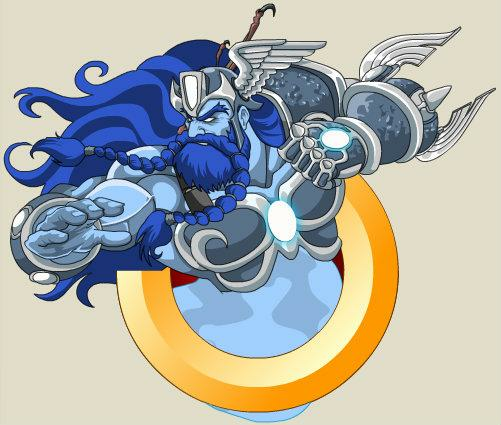 Nulgath salutes you! Requirements: Must have purchased a 2k or 5k AdventureCoins or 3 or 6 month membership package. Opens the VoidCaster Tier 1 shop. You unlocked this badge by purchasing an AdventureCoin or Membership package in June of 2016. Thank you for supporting AQWorlds! Opens the Galactic Defender (Shop). 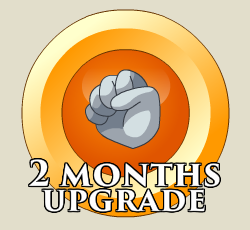 You unlocked this badge by purchasing a 12000 AdventureCoin or 12 month Membership package. Requirements: Must have purchased a 12k AdventureCoins or 12 month membership package. Opens the Galactic Commander (Shop). This badge has a the dragon icon, instead of its normal one. 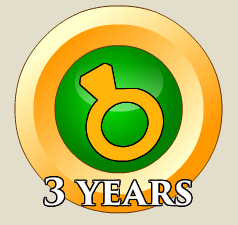 You unlocked this badge by purchasing an AdventureCoin or Membership package in May 2016. Thank you for supporting AQWorlds! 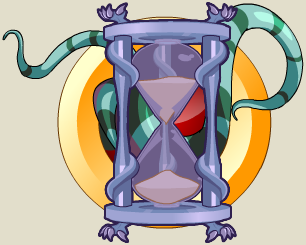 You've unlocked this badge by purchasing the Tempus Mori package! Previously called "Tempus Mori Low". Opens the Tempus Mori Low shop. You unlocked the Ancient CryptKeeper by purchasing one of our June 2016 limited quantity packages! Requirements: Must have purchased one of 4,100 Ancient CryptKeeper sets in order to access this shop. Opens the Ancient CryptKeeper shop. You unlocked the Arcane CryptKeeper by purchasing one of our June 2016 limited quantity packages! Requirements: Must have purchased one of 8,040 Arcane CryptKeeper sets in order to access this shop. Opens the Arcane CryptKeeper shop. You unlocked the Abyssal CryptKeeper by purchasing one of our June 2016 limited quantity packages! Requirements: Must have purchased one of 56,400 Abyssal CryptKeeper sets in order to access this shop. Opens the Abyssal CryptKeeper shop. You unlocked the CryptKeeper Vault by purchasing one of our June 2016 limited quantity packages! Requirements: Must have purchased one of 4,100 Complete CryptKeeper sets in order to access this shop. Opens the CryptKeeper Vault shop. You unlocked this badge by purchasing an AdventureCoin or Membership package in July of 2016. Thank you for supporting AQWorlds! Opens the Golden Falcon Tier 1 shop. Opens the Golden Falcon Tier 2 shop. 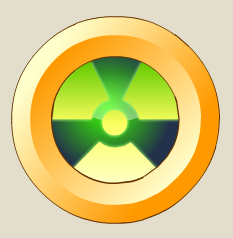 Description: You've unlocked the Radioactive Biohazard achivement by purchasing the 5k Nuclear Bundle! The beasts thank you! Requirements: Must have purchased the 5k Nuclear Bundle Package in BioBeasts in order to access this shop. Opens the Radioactive BioBeast shop. Opens the AQ3D Kickstarter shop. 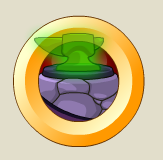 You unlocked this badge by purchasing an AdventureCoin or Membership package in August of 2016. Thank you for supporting AQWorlds! Opens the ShadowStrike Tier 1 shop. Opens the ShadowStrike Tier 2 shop. 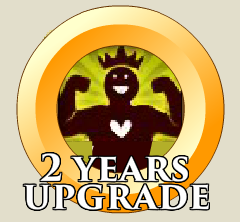 You unlocked this badge by purchasing a 12000 AdventureCoin or 12 month Membership package. Nulgath salutes you! 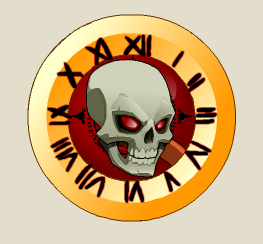 You've unlocked this badge by purchasing the Tempus Mori package! Previously called Tempus Mori High. Opens the Tempus Mori High shop. You unlocked this badge by purchasing an AdventureCoin or Membership package in September 2016. Thank you for supporting AQWorlds! Opens the Royal Raider (Shop). Opens the Dark Seas Ruler (Shop). 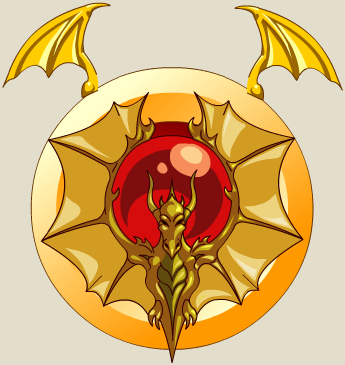 You unlocked this badge by supporting AQWorlds in October 2016! Opens the Shadow Sorcery Tier 1 shop. Opens the Shadow Sorcery Tier 2 shop. 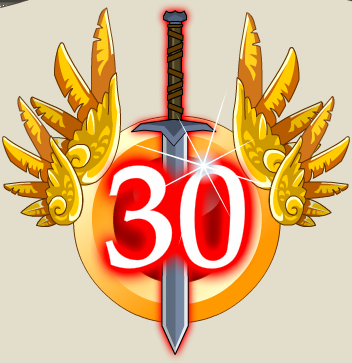 You unlocked this badge by supporting AQWorlds in November 2016 with a $10 USD membership or adventurecoin package! Opens the Lord of Bones Tier 1 shop. 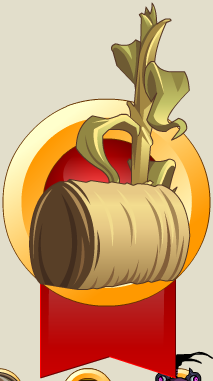 You unlocked this badge by supporting AQWorlds in November of 2016 with a 12 month membership or 12,000 adventurecoin package! Opens the Lord of Bones Tier 2 shop. You unlocked the Champion of Light badge by purchasing one of our November 2016 limited quantity sets! 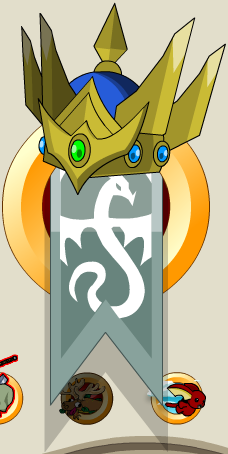 Requirements: Must have purchased the Champion of Light Set badge from the AQW Limited Quantity Shop site. Opens the Champion of Light (Shop). 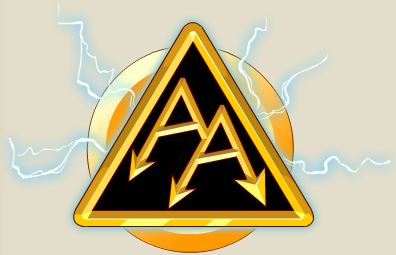 You unlocked this badge by supporting AQWorlds in December of 2016 with a $10 USD membership or adventurecoin package! Opens the Northlands Ranger Tier 1 shop. 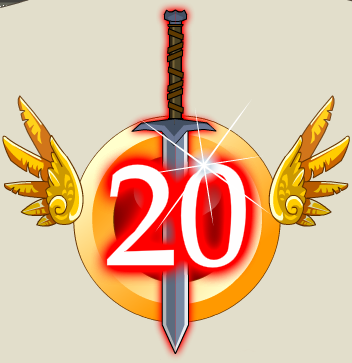 You unlocked this badge by supporting AQWorlds in December of 2016 with a 12 month membership or 12,000 adventurecoin package! Opens the Northlands Ranger Tier 2 shop. Opens the Wyldehunt House I shop. Opens the Wyldehunt House II shop. You unlocked the Frostling Horror badge by purchasing one of our December 2016 limited quantity packages! 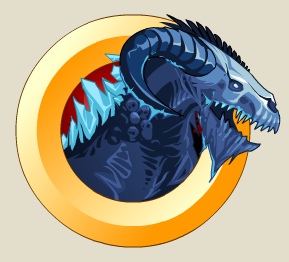 Requirements: Must have purchased the Frostling Horror Pet and Quest badge from the AQW Limited Quantity Shop site. Opens the Frostling Horror (Shop). You unlocked the BattleLord of Ravens badge by purchasing one of our December 2016 limited quantity packages! 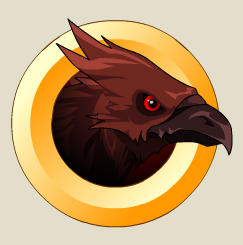 Requirements: Must have purchased the BattleLord Ravens badge from the AQW Limited Quantity Shop site. Opens the BattleLord of Ravens (Shop) (Legend). 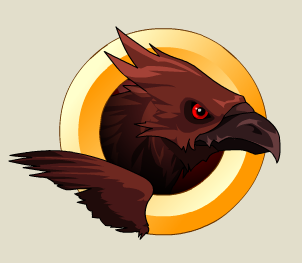 Requirements: Must have purchased the BattleLord Ravens AC badge from the AQW Limited Quantity Shop site. 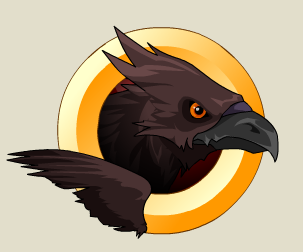 Opens the BattleLord of Ravens (Shop) (AC). You unlocked the Nightelf SnowStalker badge by purchasing one of our December 2016 limited quantity packages! 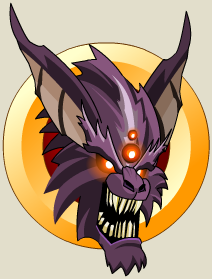 Requirements: Must have purchased the Nightelf SnowStalker badge from the AQW Limited Quantity Shop site. Opens the Nightelf SnowStalker (Shop). 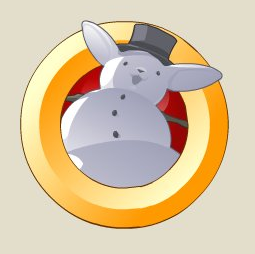 You unlocked the Snowmoglin House badge by purchasing one of our December 2016 limited quantity packages! 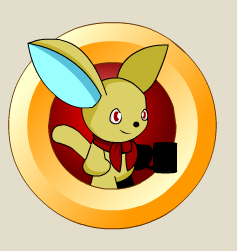 Requirements: Must have purchased the Snowmoglin House badge from the AQW Limited Quantity Shop site. Opens the Snowmoglin House shop. 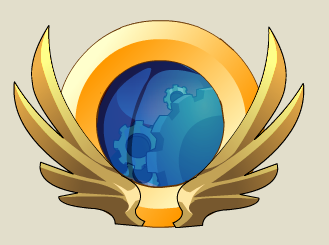 You've unlocked this badge by supporting AQWorlds in January 2017 with a $10 USD membership or adventurecoin package! Opens the ArchAngel Defender shop. 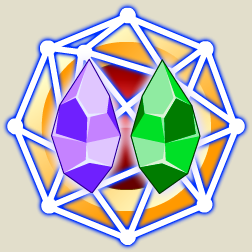 Description: You unlocked this badge when you became a founder in AE's first mobile game, Battle Gems! 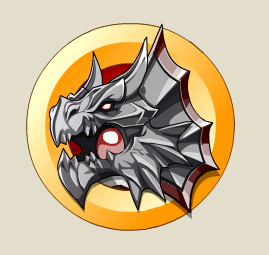 You've also unlocked the Ultimate DragonSlayer badge and shop! Requirements: Must have purchased either the Founder Package or the Ultimate DragonSlayer Package in BattleGems. 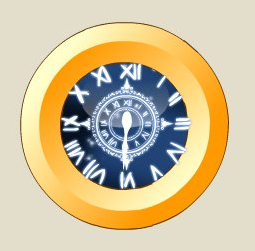 You've unlocked this badge by supporting AQWorlds in Feburary of 2017 with a with a $10 USD membership or adventurecoin package! Opens the Blood Samurai Tier 1 shop. 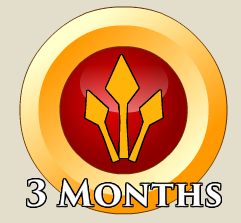 You've unlocked this badge by supporting AQWorlds in February of 2016 with a 12 month membership or 12,000 adventurecoin package! Opens the Blood Samurai Tier 2 shop. 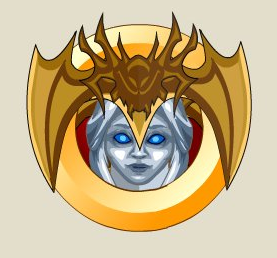 You've unlocked this badge by supporting AQWorlds in March of 2017 with a with a $10 USD membership or adventurecoin package! Opens the ProtoParagon T1 shop. 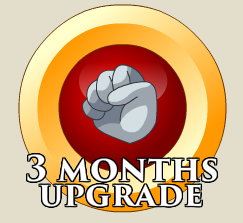 You've unlocked this badge by supporting AQWorlds in March of 2017 with a 12 month membership or 12,000 adventurecoin package! Opens the ProtoParagon T2 shop. 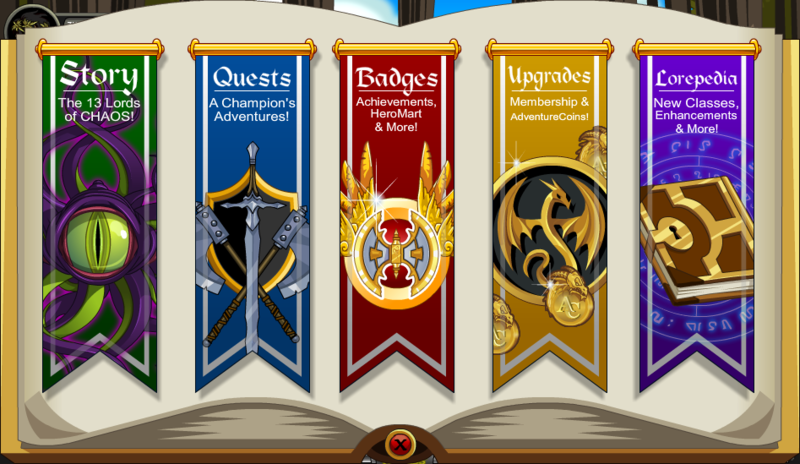 You've unlocked this badge by supporting AQWorlds in April of 2017 with a 12 month membership or 12,000 adventurecoin package! Opens the Riftwalker Tier 2 shop. You unlocked the Galactic Imperator badge by purchasing one of our May 2017 limited quantity packages! Requirements: Must have purchased one of 1,500 Galactic Imperator sets. You unlocked the Void Guardian badge by purchasing one of our May 2017 limited quantity packages! Requirements: Must have purchased one of 2,000 Void Guardian AC sets. Opens Void Guardian (Shop) (AC) shop. Requirements: Must have purchased one of 2,500 Void Guardian Legend sets. Opens Void Guardian (Shop) (Legend) shop. You unlocked the Amaranthine Void badge by purchasing one of our May 2017 limited quantity packages! Requirements: Must have purchased one of 10,000 Amaranthine Void Gear sets. Opens Amaranthine Void Gear shop. 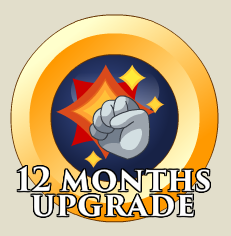 You've unlocked this badge by supporting AQWorlds in January 2017 with a 12 month membership or 12,000 adventurecoin package! Opens the ArchFiend Loyalist (Shop). You unlocked the Dreadhound Rider badge by purchasing one of our August 2017 limited quantity packages! Requirements: Must have purchased one of 20,000 Dreadhound Rider Battle Pet sets. Opens Dreadhound Rider LQS shop. 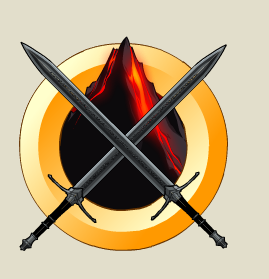 You unlocked this badge by purchasing the Flame Dragon Warrior set. 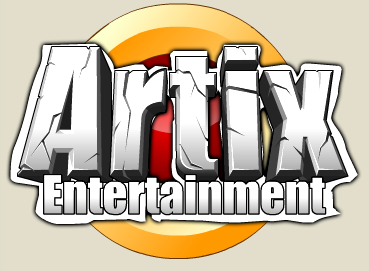 Thank you for supporting Artix Entertainment! Must have purchased one of 20,000 Flame Dragon Warrior package. Also available to those who had previously purchased the Founder Package in Adventure Quest Dragons. Opens Flame Dragon Warrior (Shop). 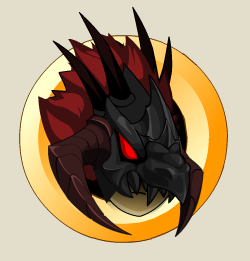 Requirements: Must have purchased the Draconic DoomKnight offer by purchasing a 5,000 AC package. Opens the Draconic DmK Tier 2 Shop. 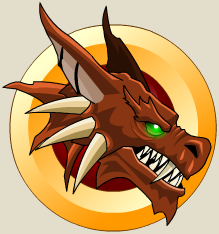 Requirements: Must have purchased the Draconic DoomKnight offer by purchasing a 12,000 AC package. Opens the Draconic DmK Tier 3 Shop. You unlocked this badge by purchasing one of the 5000 Sheng Long Guardian sets from our Dragon's Limited Quantity Set shop! Requirements: Must have purchased the Sheng Long Guardian set from the LQS page. Note: Opens the Sheng Long Guardian (Shop). You unlocked this badge by purchasing one of the 7500 Sheng Chi Guardian sets from our Dragon's Limited Quantity Set shop! Requirements: Must have purchased the Sheng Chi Guardian set from the LQS page. Note: Opens the Sheng Chi Guardian (Shop). 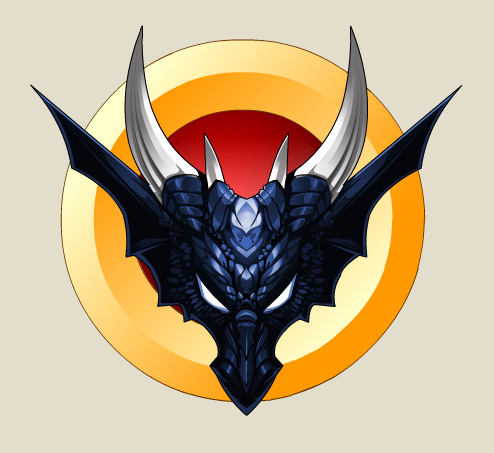 You unlocked this badge by purchasing one of the 3000 Dage's Underworld houses from our Dragon's Limited Quantity Shop. Requirements: Must have purchased the Dage's Underworld House from the LQS page. Note: Opens the Dage's Underworld House Shop. Requirements: Must have purchased the Dragon's Altar House from the LQS page. Note: Opens the Dragon's Altar House Shop. 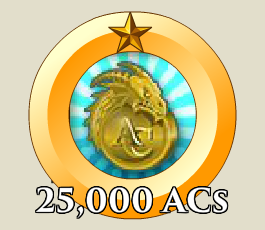 You unlocked this badge by purchasing one of the 30000 Draconis Pet sets from our Dragon's Limited Quantity Set shop! 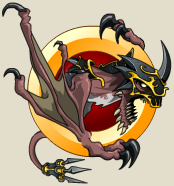 Requirements: Must have purchased the Draconis Pets from the LQS page. Note: Opens the Draconis Pets shop. Take on Braddok Bonebreaker in our first adventure package! Unlock the map, boss fight, quests, and exclusive gear! Requirements: Must have purchased Bonebreaker Adventure Pack. Requirements: Must have completed the 'Build Drakath's Armor' quest. 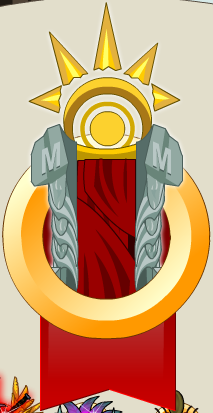 Opens the Drakath's Armor shop. 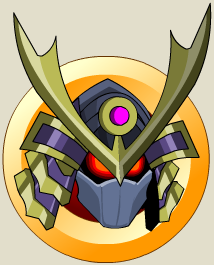 Previously called "Drakath's Armor", then "Chaos Saga Completed". 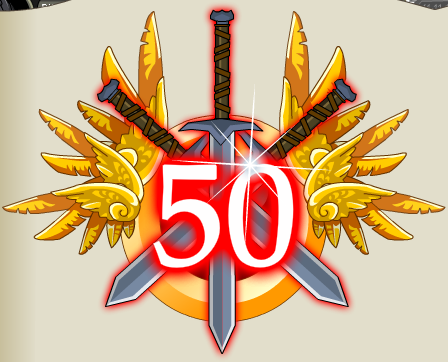 You unlocked this badge by purchasing one of the 5000 Crimson Knight sets from our Frostval 2014 Limited Quantity Set shop! 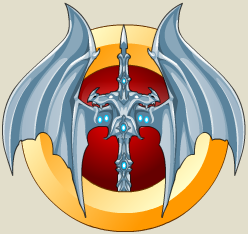 Requirements: Must have purchased the Dage Frostval Set badge from the AQW Limited Quantity Shop site. 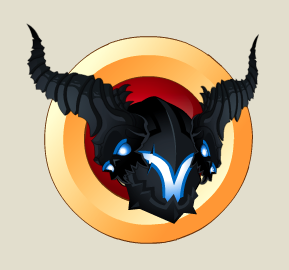 Note: Opens the Dage Frostval Armor LQS shop. 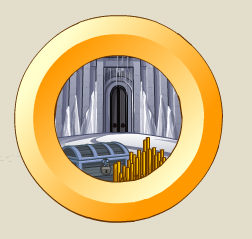 You unlocked this badge by purchasing one of the 3000 Ice Fortress House sets from our Frostval 2014 Limited Quantity Set shop! 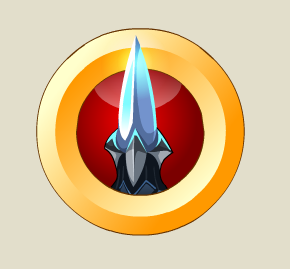 Requirements: Must have purchased the Ice Fortress House badge from the AQW Limited Quantity Shop site. Note: Opens the Ice Fortress House Shop. 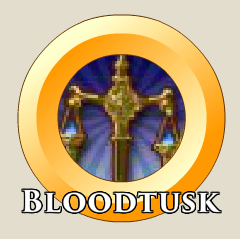 You unlocked this badge by purchasing one of the 7000 Crimson Knight sets from our Frostval 2014 Limited Quantity Set shop! Requirements: Must have purchased the Nulgath Battle Pet from the AQW Limited Quantity Shop site. Note: Opens the Santa Nulgath Battle Pet shop. 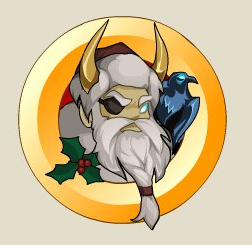 You unlocked this badge by purchasing one of the 20000 Holiday Yeti pets from our Frostval Limited Quantity set shop! 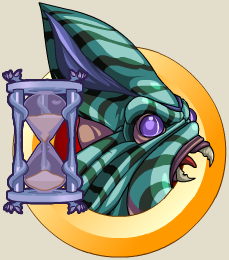 Requirements: Must have purchased the Holiday Yet Pet from the AQW Limited Quantity Shop site. Note: Opens the Frostval Gear Set shop. 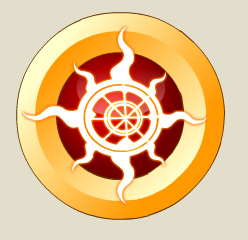 You unlocked this badge by purchasing one of the limited quantity Bright Fortress Member houses! 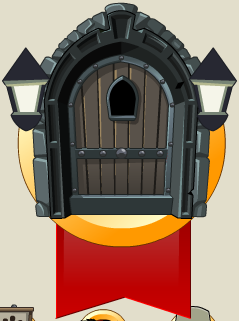 Requirements: Must have purchased the Bright Fortress Member House from the AQW Limited Quantity Shop site. Note: Opens the Bright Fortress (Shop) (Legend). 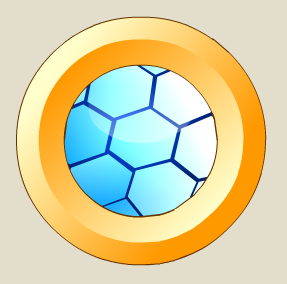 You unlocked this badge by purchasing an AdventureCoin or Membership package. The Wolf Riders salute you! Opens the Northlands Wolf Rider shop. 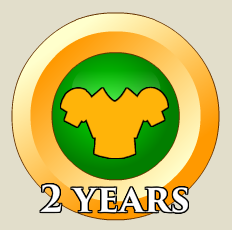 You unlocked this badge by purchasing a 12000 AdventureCoin or 12 month membership package. The Wolf Riders salute you! Opens the Cryostorm Wolf Rider (Shop). 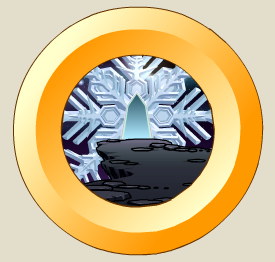 You unlocked this badge by purchasing one of the limited quantity Glacial Commander packages. Thank you for supporting AQWorlds! Requirements: Must have purchased one of 4,100 Glacial Commander LQS Badge sets in order to access this shop. Opens the Glacial Commander LQS shop. 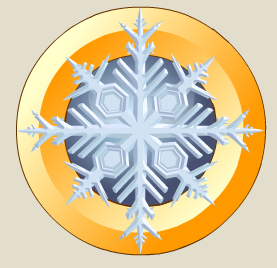 You unlocked this badge by purchasing one of the Limited Quantity Ice Realm Portal packages. Thank you for supporting AQWorlds! Requirements: Must have purchased one of 4,100 Ice Realm Portal Badge sets in order to access this shop. Opens the Ice Realm Portal House Shop. 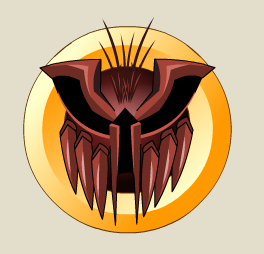 You unlocked this badge by purchasing one of the Limited Quantity Doom Claws packages. Thank you for supporting AQWorlds! 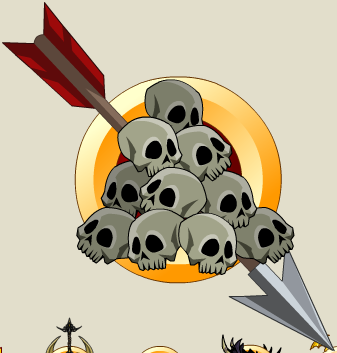 Requirements: Must have purchased one of 8,040 Doom Claws LQP Badge sets in order to access this shop. Opens the Doom Claws LQS shop. 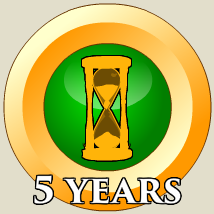 You unlocked this badge by purchasing one of the Limited Quantity ShatterGlass packages. Thank you for supporting AQWorlds! Requirements: Must have purchased one of 75,400 ShatterGlass LQS Badge sets in order to access this shop. Opens the Shatterglass Pack LQS shop. 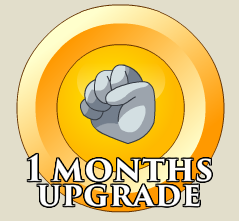 You unlocked this badge by purchasing a 12000 AdventureCoin or 12 month Membership package. The Knight Commanders salute you! Opens the Knight Commander Tier 1 shop. 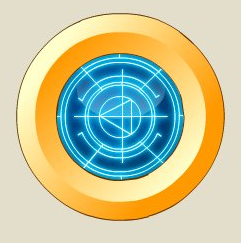 You unlocked this badge by purchasing an AdventureCoin or Membership package. The Knight Commanders salute you! Opens the Knight Commander Tier 2 shop. 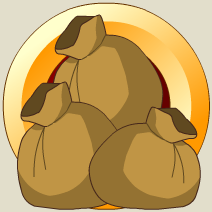 You unlocked this badge by purchasing an AdventureCoin or Membership package. 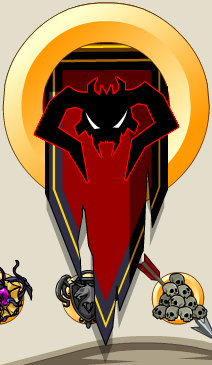 Nulgath and the Darkblood salute you! Requirements: Must have purchased a 3 or 6k AdventureCoins or 3 or 6 month membership package. Opens the Darkblood Tier 2 shop. 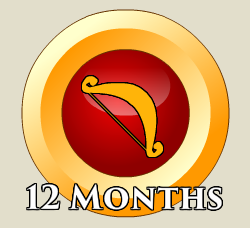 You unlocked this badge by purchasing a 12000 AdventureCoin or 12 month Membership package. Nulgath and the Darkblood salute you! Opens the Darkblood Tier 1 shop. 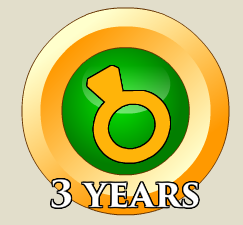 You unlocked this badge by purchasing a 12000 AdventureCoin or 12 month Membership package. Nulgath salutes you! Opens the VoidCaster Tier 2 shop. Grants access to the VIP Shop. 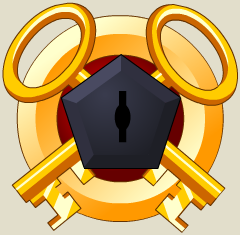 Awarded to anyone who has supported AQW with a 12 month membership since July 21st, 2011, or had an active year membership at the time. Requirements: Purchase a 12 month membership since July 21st, 2011. Opens Dreadhound House LQS shop. You unlocked the Elemental Summoner badge by purchasing one of our August 2017 limited quantity packages! Requirements: Must have purchased one of 2,000 Elemental Summoner sets. Opens Elemental Summoner LQS shop. You unlocked the Summoner Twilly badge by purchasing one of our August 2017 limited quantity packages! Requirements: Must have purchased one of 20,000 Summoner Twilly Gear sets. Opens Summoner Twilly LQS shop. Also see the list of Character Page Badges. Members get the best of the game! As long as you are an AQW Member you get access to every activearea in the game, special pets, classes, armors,helms, capes, weapons, houses, and many, many more amazing perks in the game! AdventureCoins allow you to purchase a number of items in AQWorlds including rare armors, items and boosts. They also allow you to save time when earning reputation in quest areas and trade skills like fishing and potion making! New Classes, Enhancements & More! In AdventureQuest Worlds you can become anything you can imagine. Do you want to be a stealthy Ninja, a fearsome Berserker, a magic-wielding Mage, or a psychic MindBreaker? Maybe you want to master the Blood Ancient's vampiric abilities, or maybe you'd rather be a Bard and use music as your weapon! You could control time as a Chronomancer or control death itself as a dark Necromancer! Why not master EVERY CLASS?! You can learn more about new classes, enhancing your items to make them more powerful, new badges to show off on your character page and a lot more in the Lorepedia. 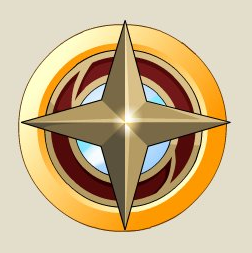 It's an amazing reference guide for new players and old pros alike where you can find tons of useful information about AQWorlds.